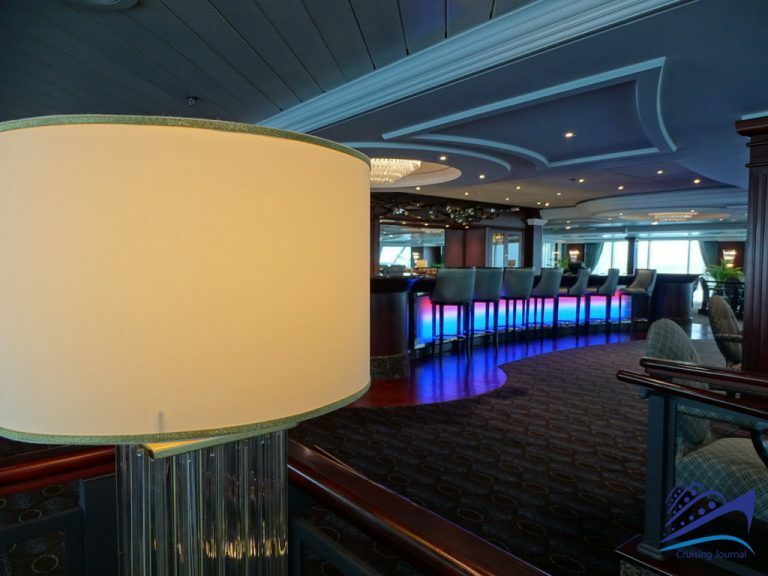 Have you sailed this cruiseship? 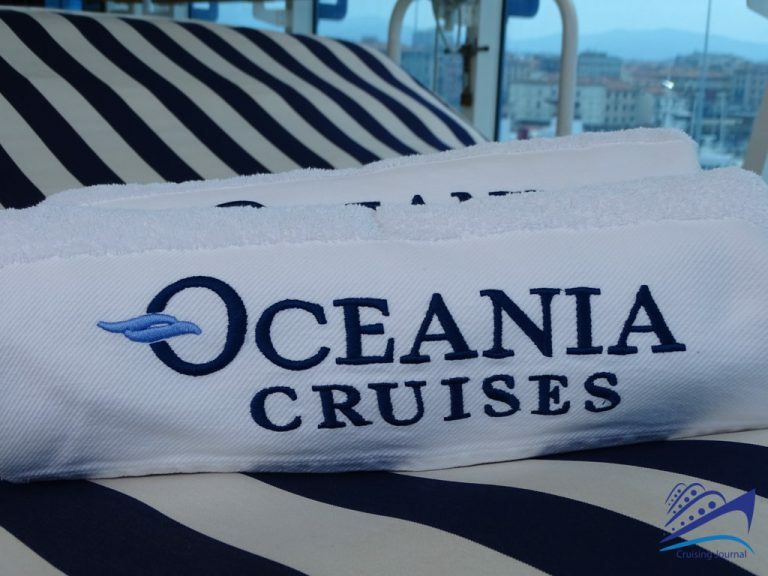 Review it now on CruisingJournal! 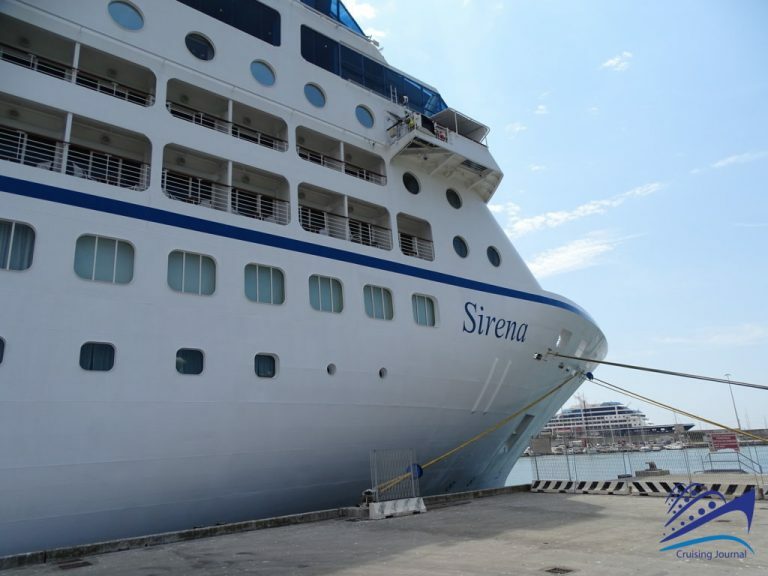 It’s pretty hard to resist the call of Sirena, the last ship added to the fleet of Oceania Cruises. 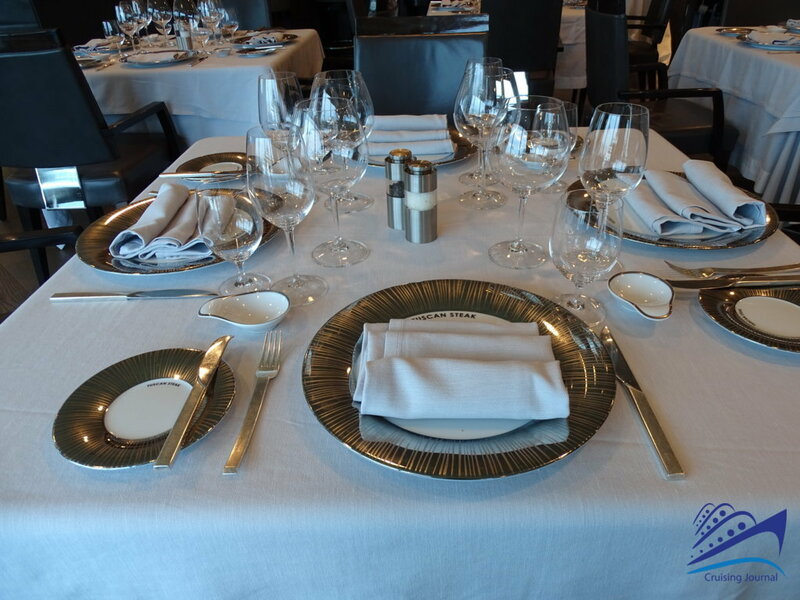 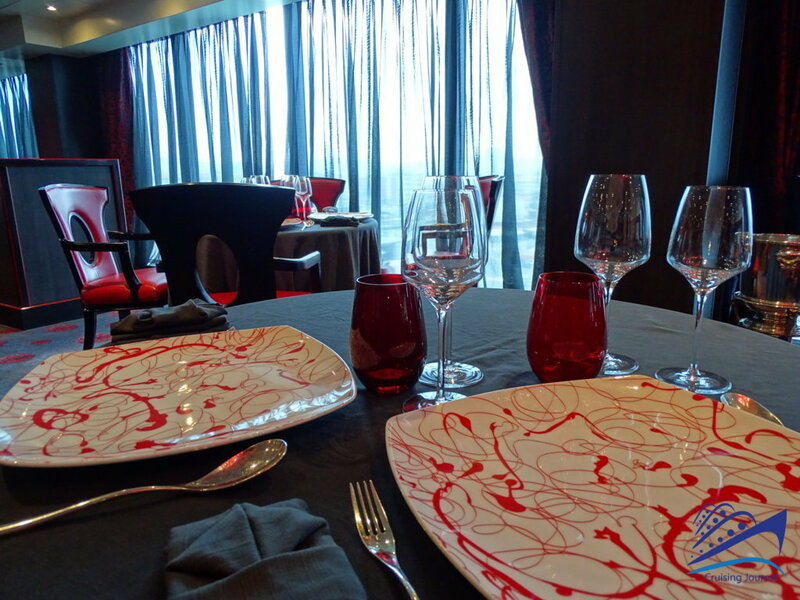 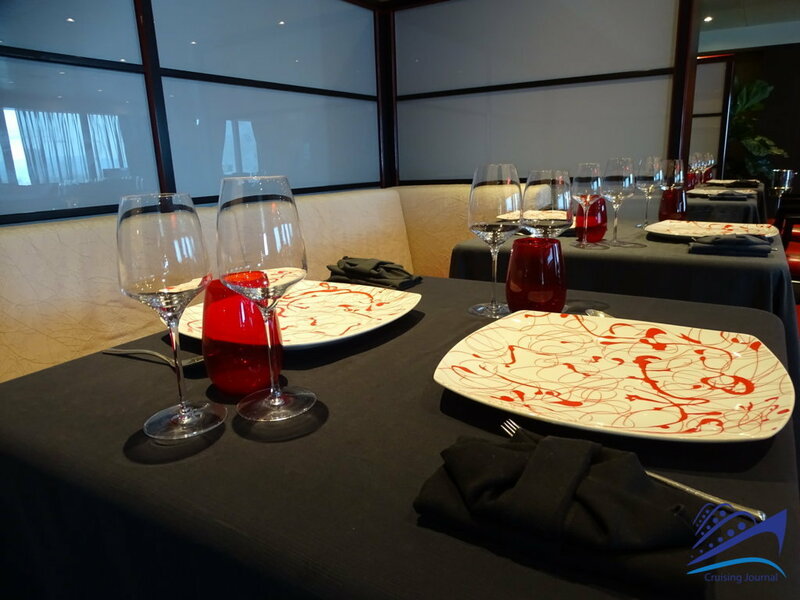 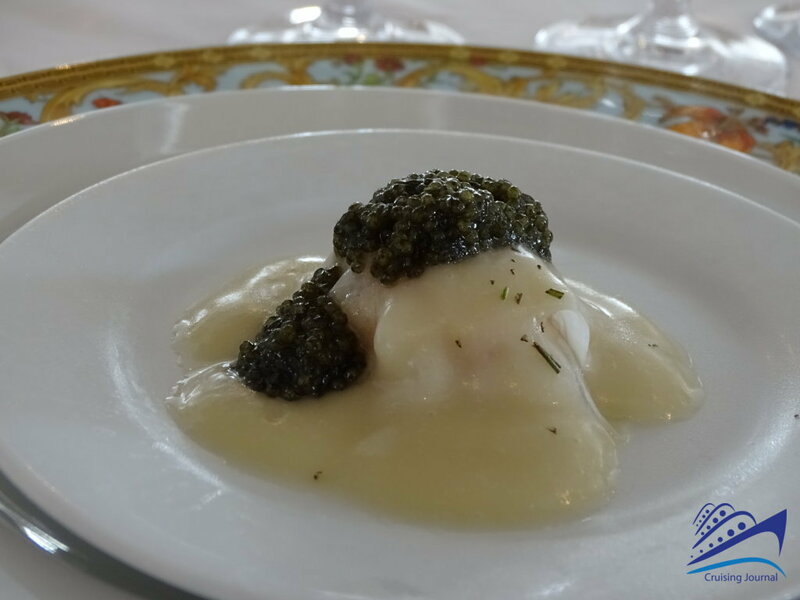 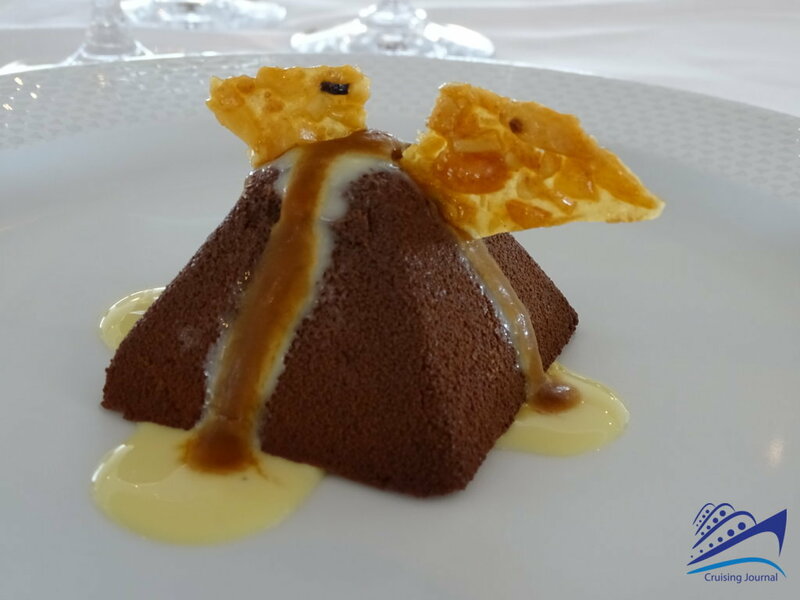 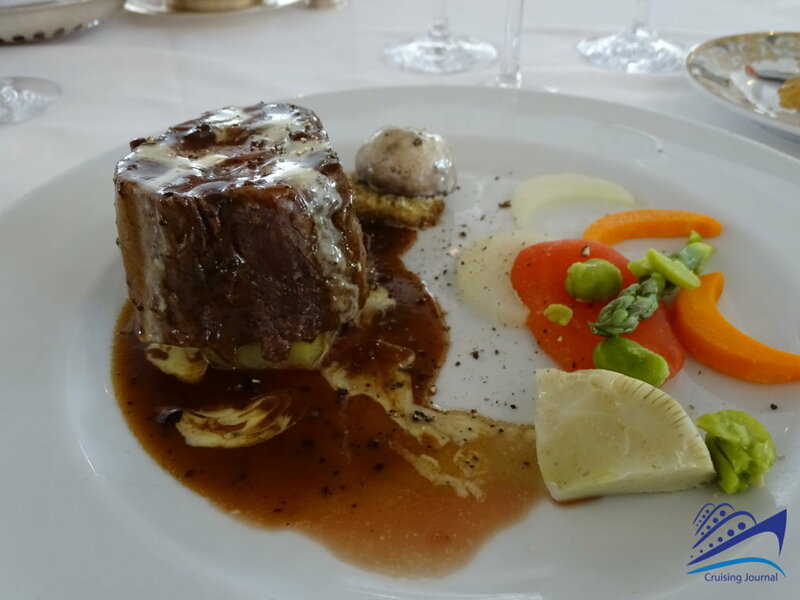 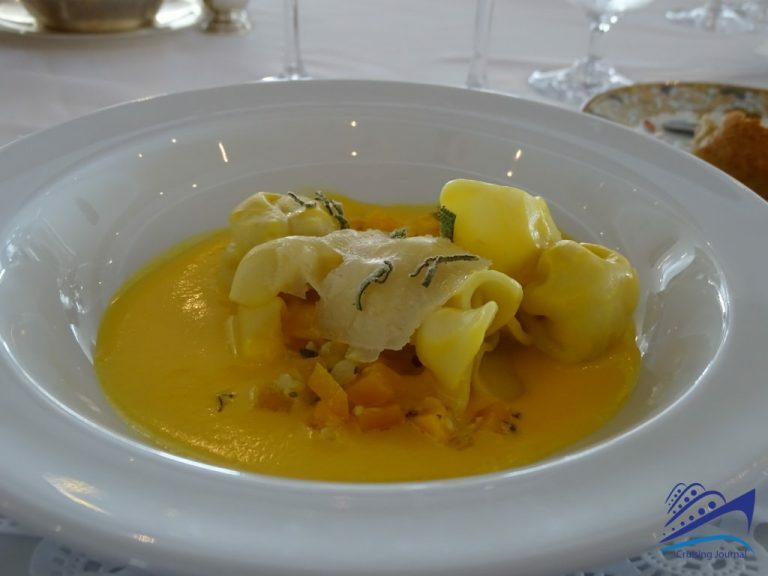 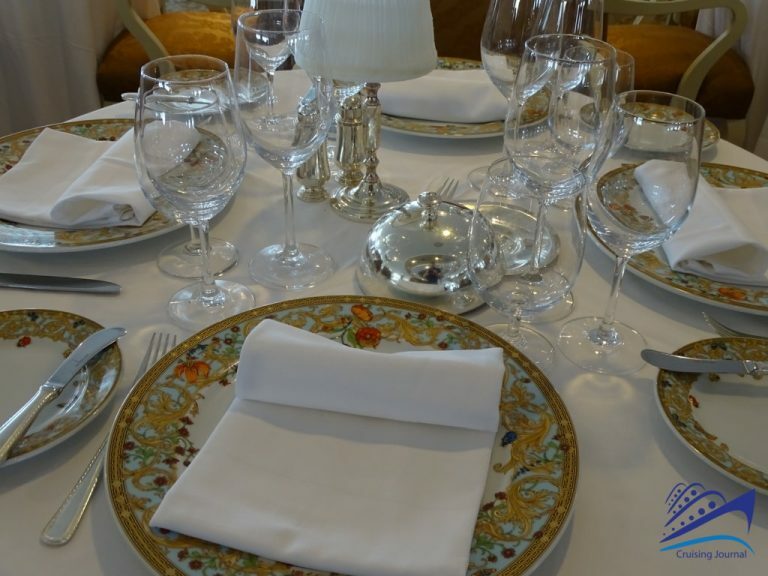 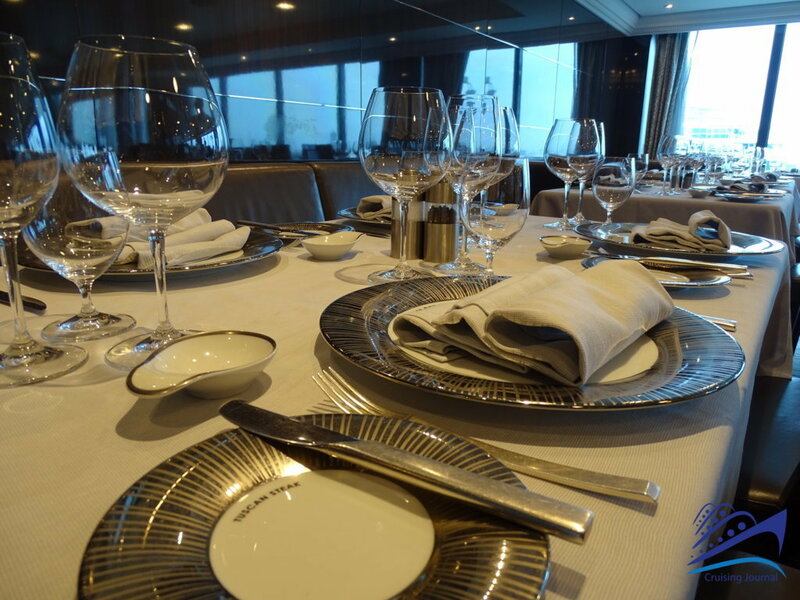 Elegance, class and fine cuisine are just some of the main strengths you will notice once on board. 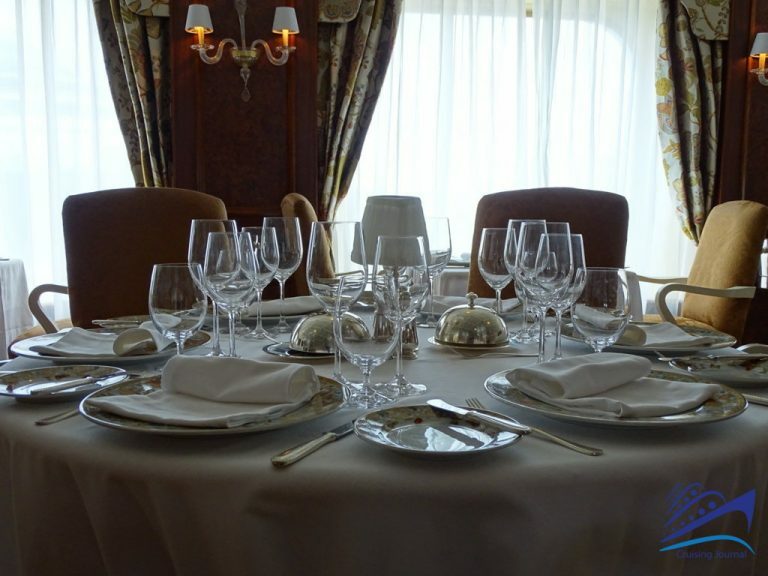 Just under 700 passengers, served by an helpful crew with different qualifications, to offer you an excellent service and a very special cruise experience. Sirena has 9 passenger decks, and common areas are located at decks 4 and 5, and upstairs, at decks 9, 10 and 11. 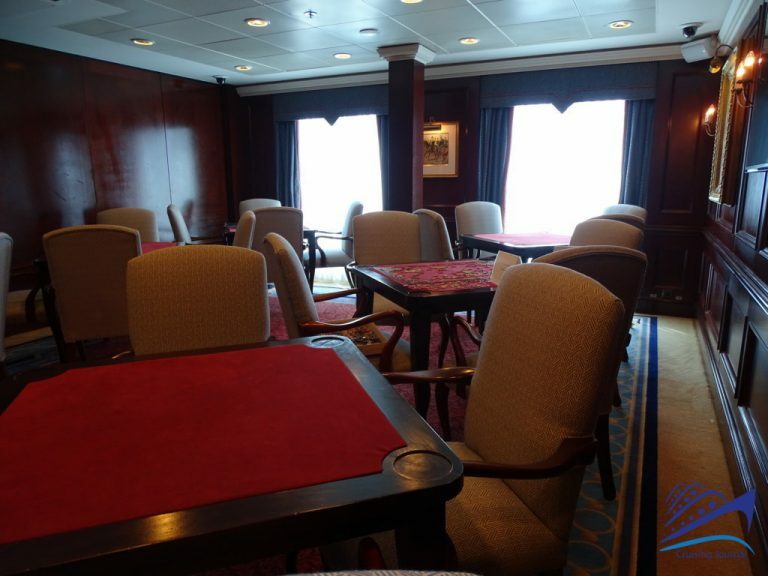 Deck 3 is equipped with the gangways, and, only on the right-hand side, there are some cabins. 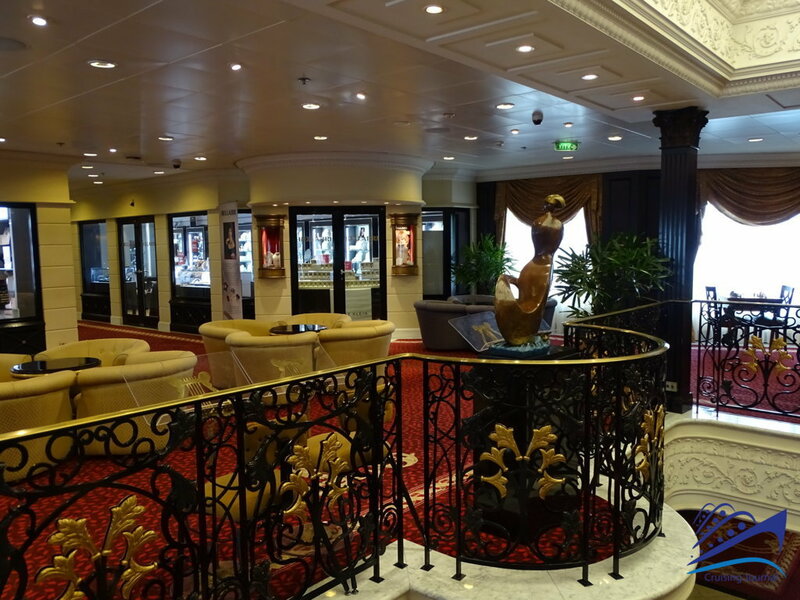 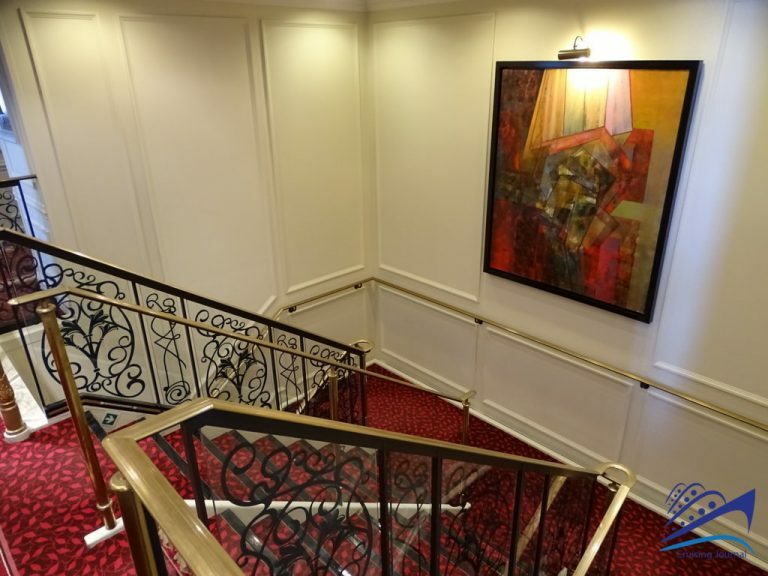 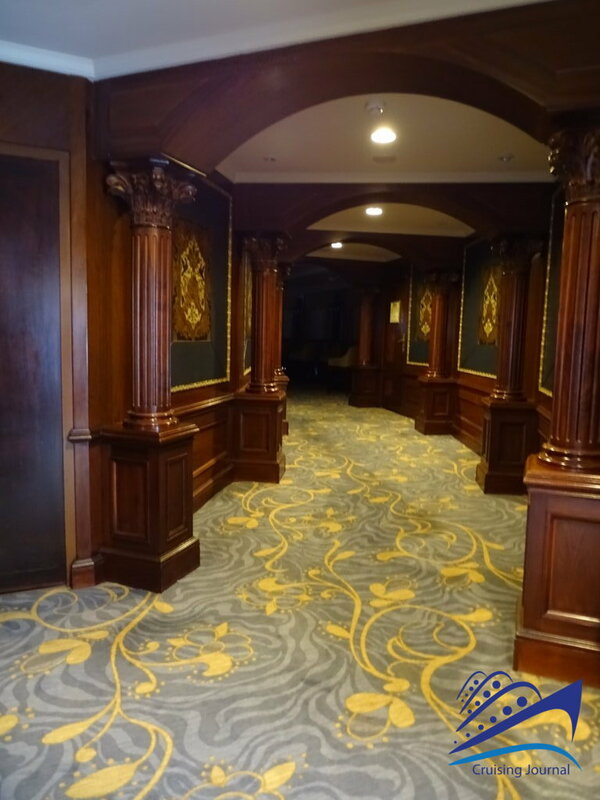 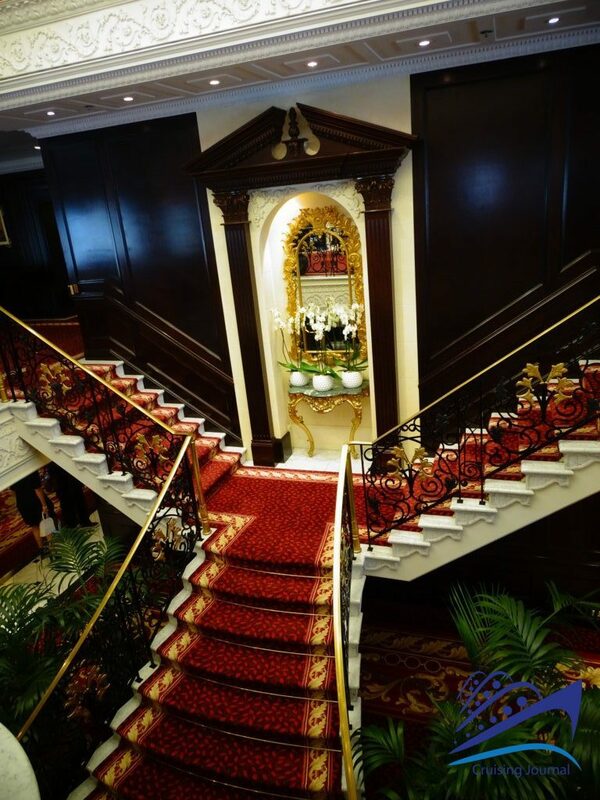 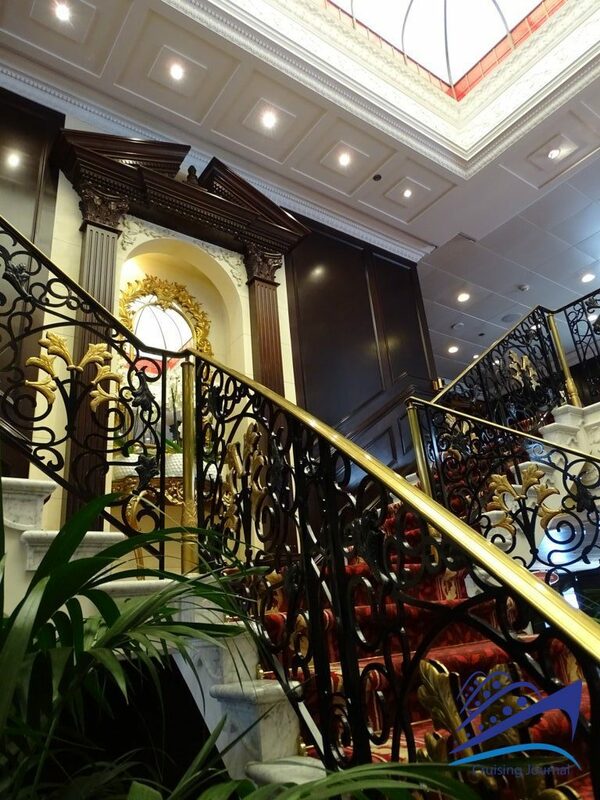 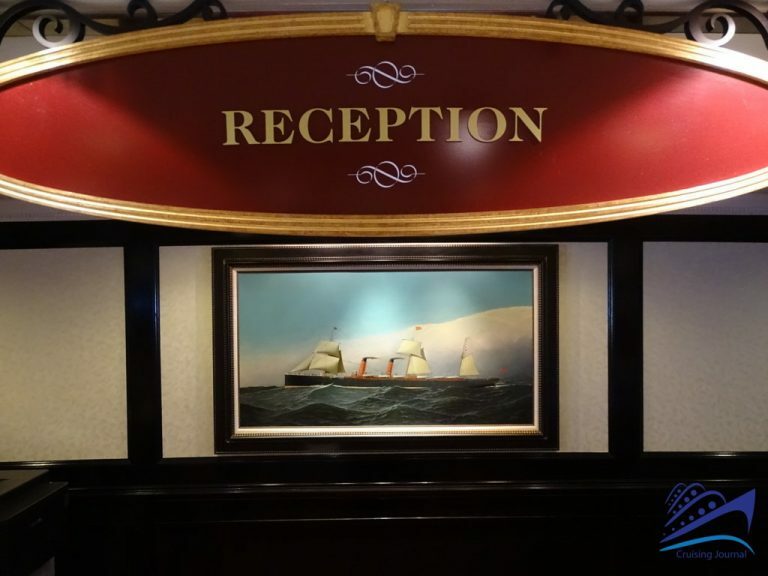 Deck 4 welcomes passengers in the Reception Hall, where you will find the central staircase. 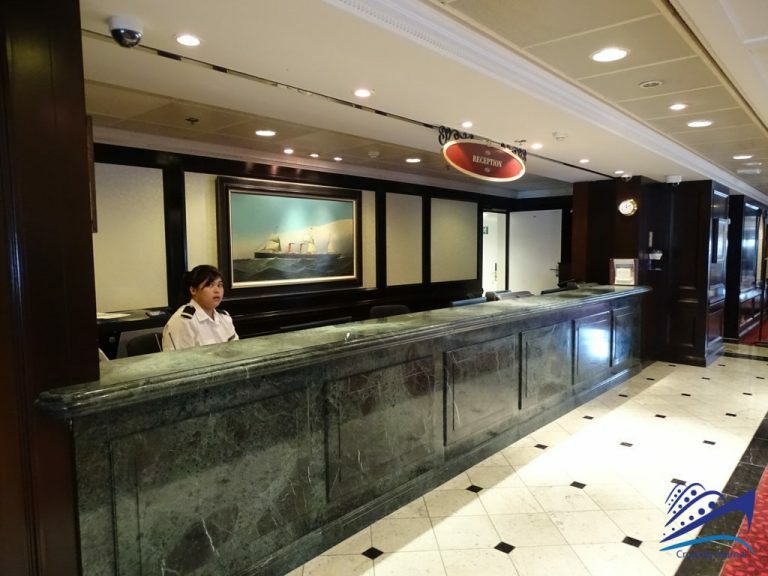 The Concierge and the Tour Office are located around the Reception. 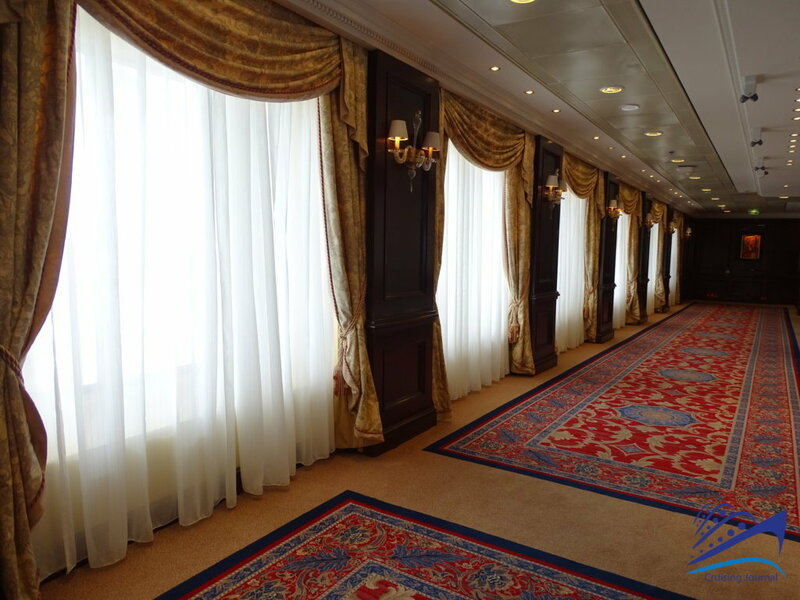 Walking towards the bow you will reach a series of cabins and the medical center. 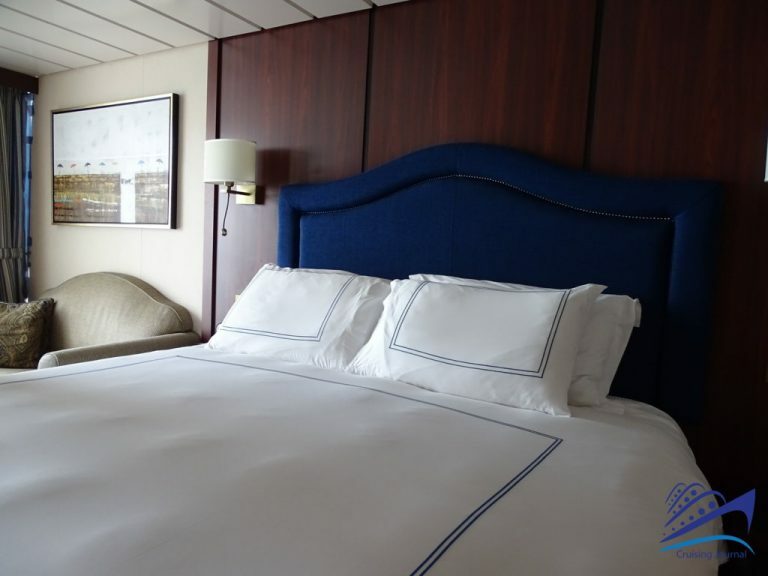 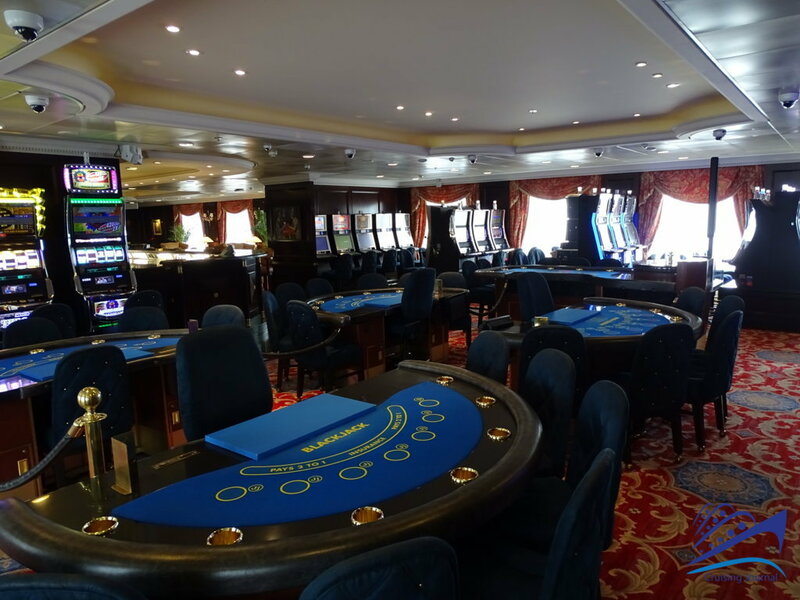 Deck 5 has more rooms and it’s where the most beautiful areas on the ship are located. 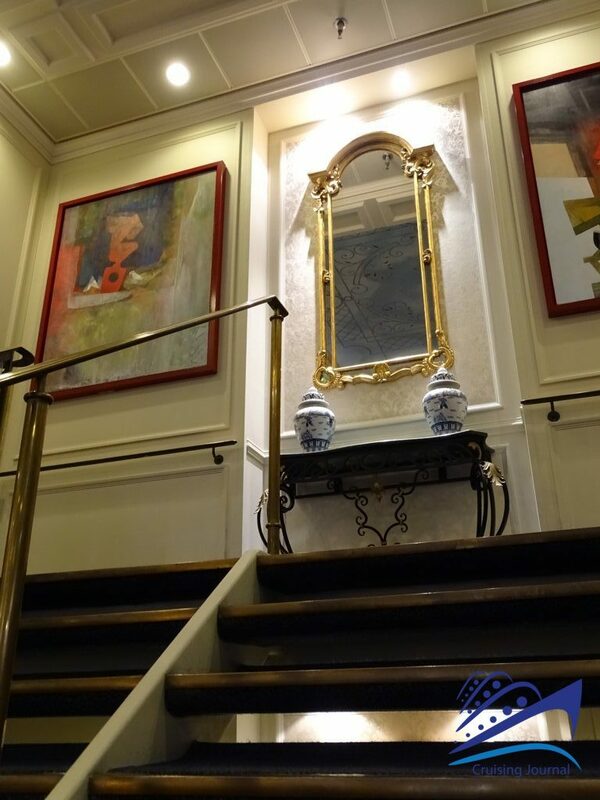 Going up from the Reception you will reach the Upper Hall, an elegant living room where you can listen to music or have a coffee at any time of day. 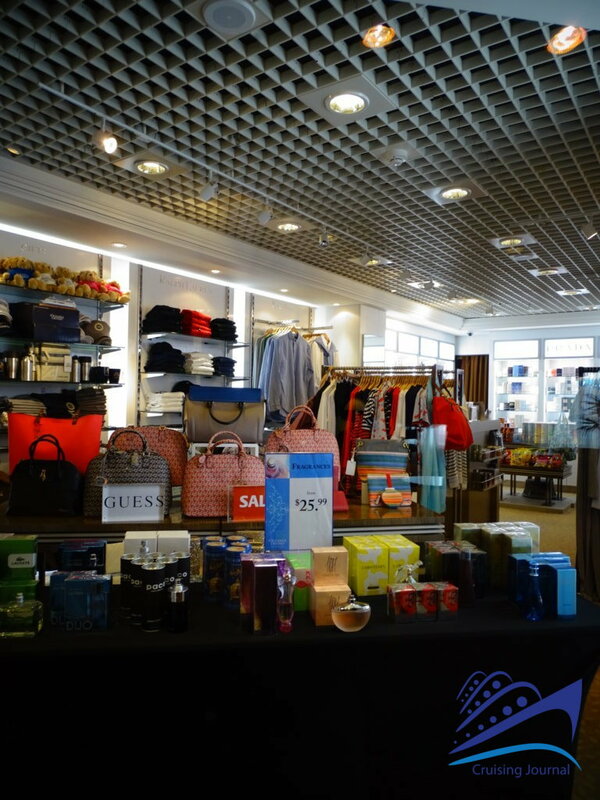 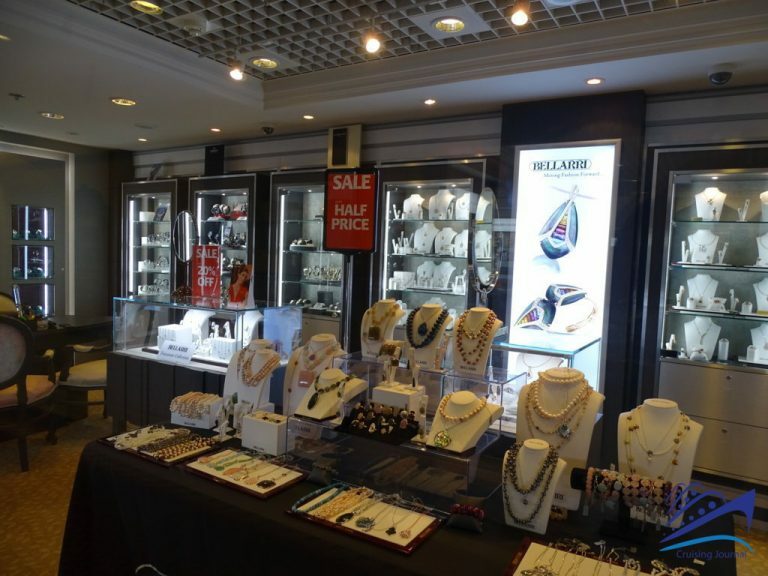 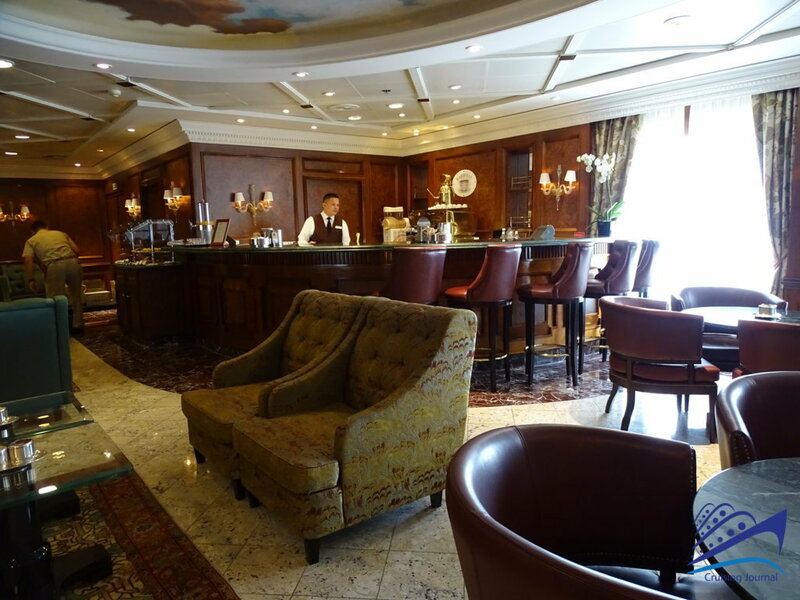 You will be attracted by the windows of the jewelry store or the shop in front of it, which anticipate the elegant Martinis Bar. 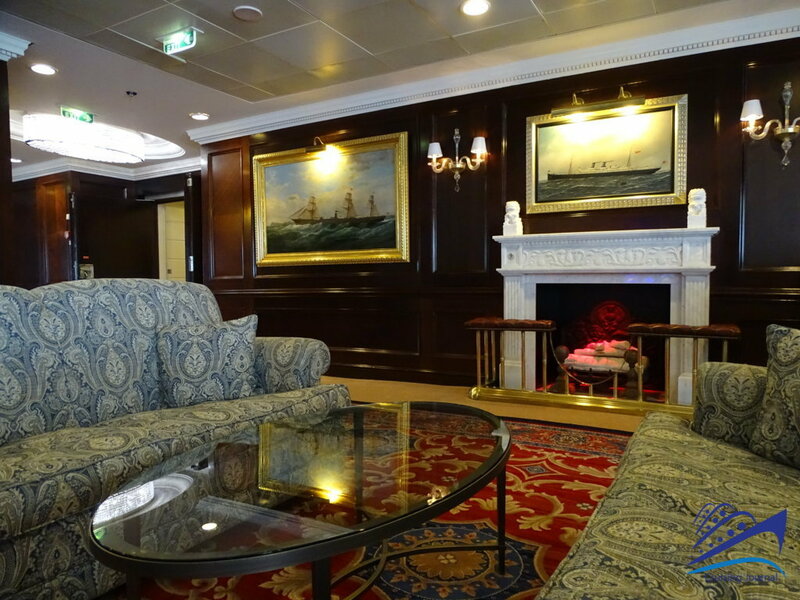 Here you will enjoy the incredible atmosphere created by paintings of ancient ships, a fireplace … and cozy armchairs. 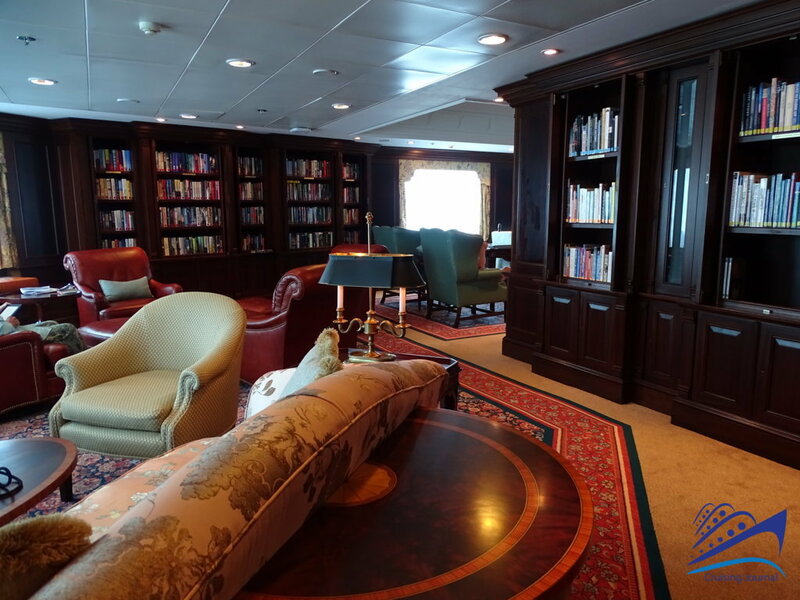 Warm colors and wood will make you feel like being in a luxurious building, while being able to constantly admire the sea from the windows. 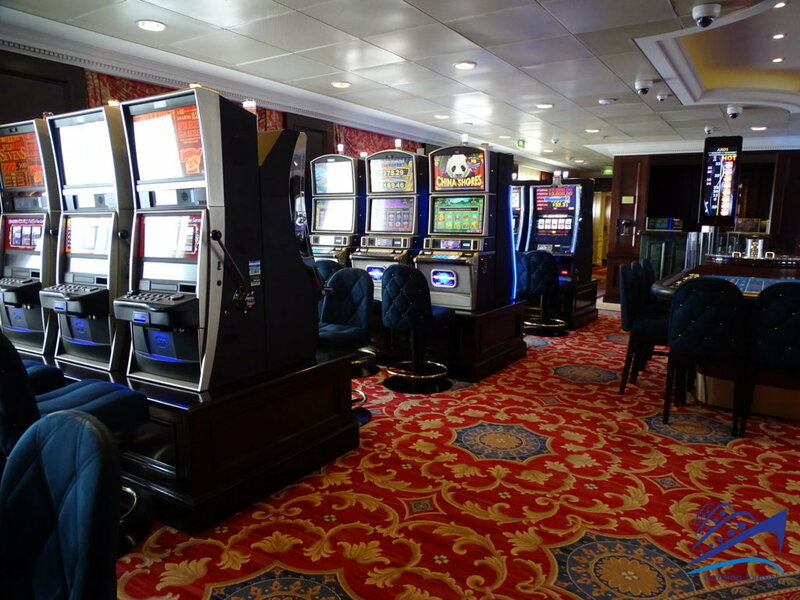 The Bar is the natural extension of the modern Casinò, which is fully automated and equipped with slots and roulettes. 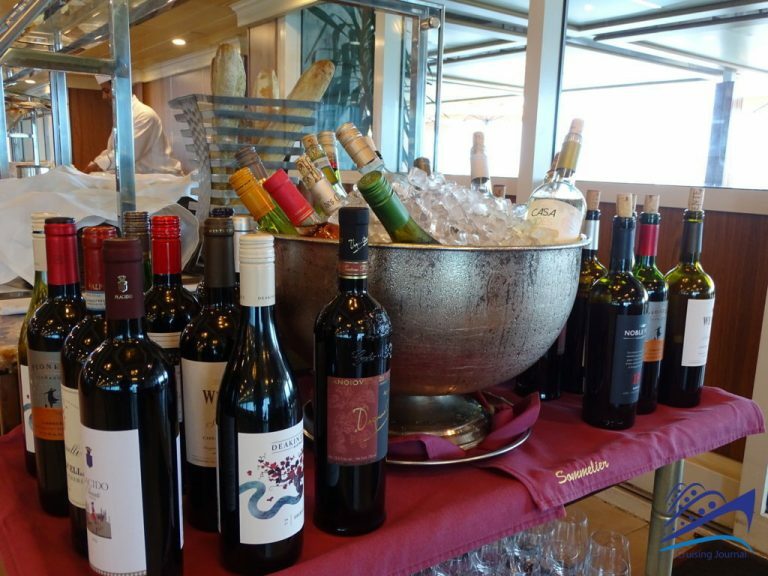 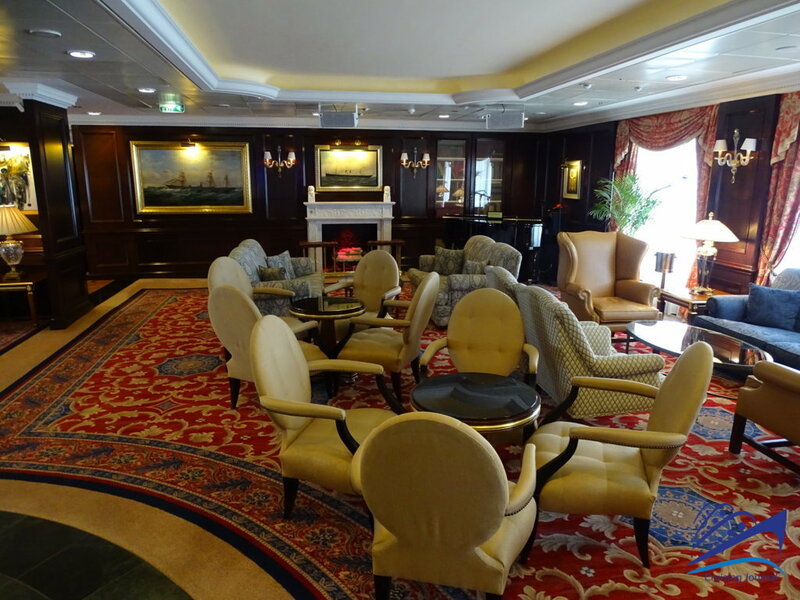 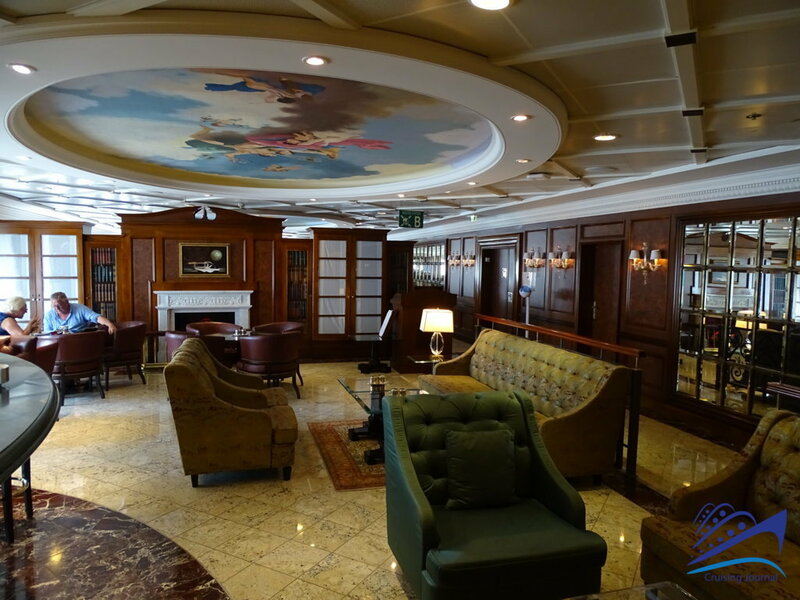 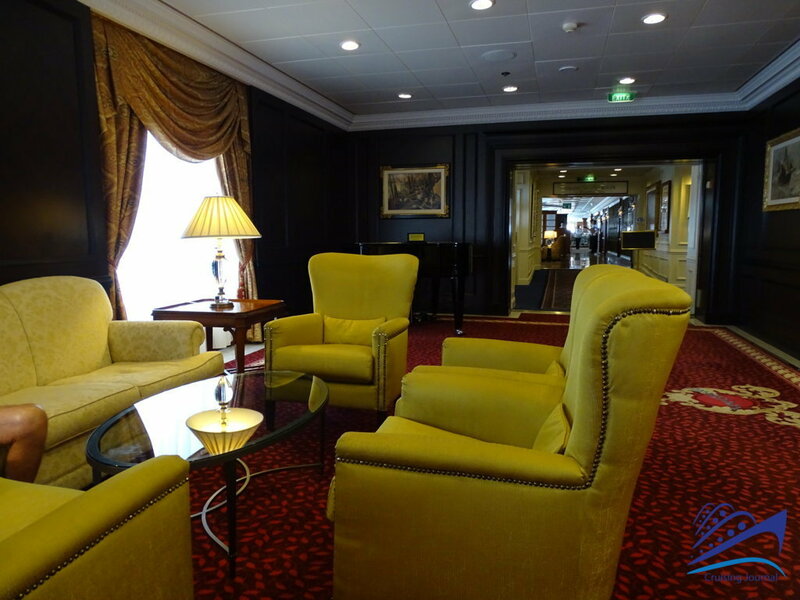 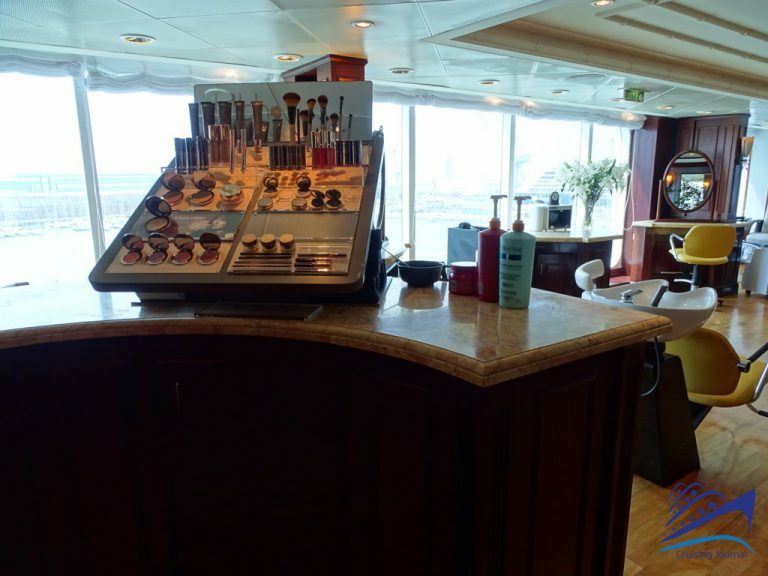 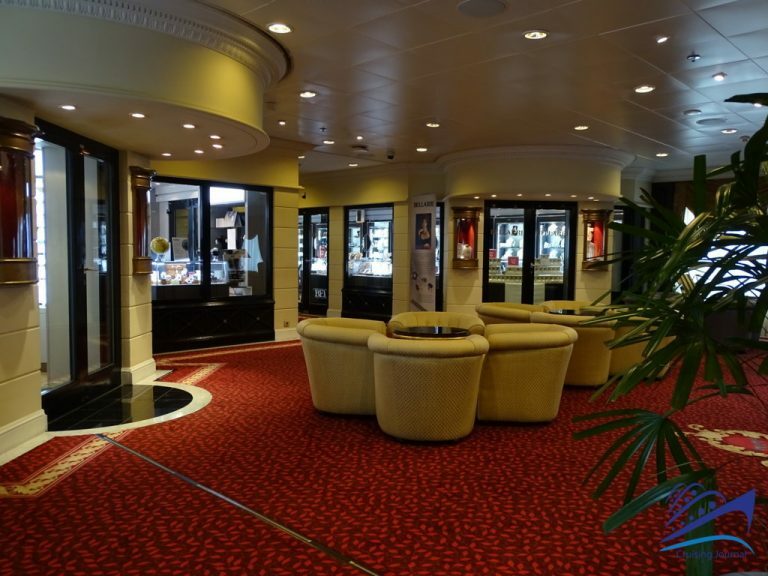 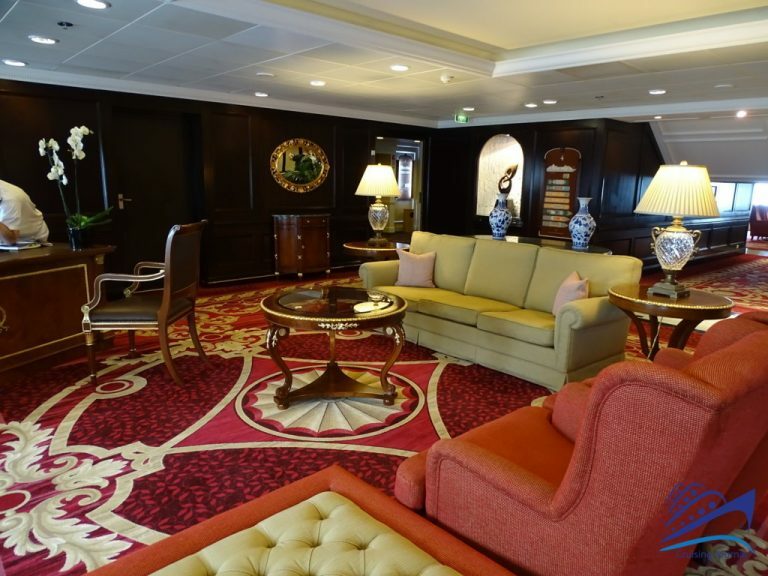 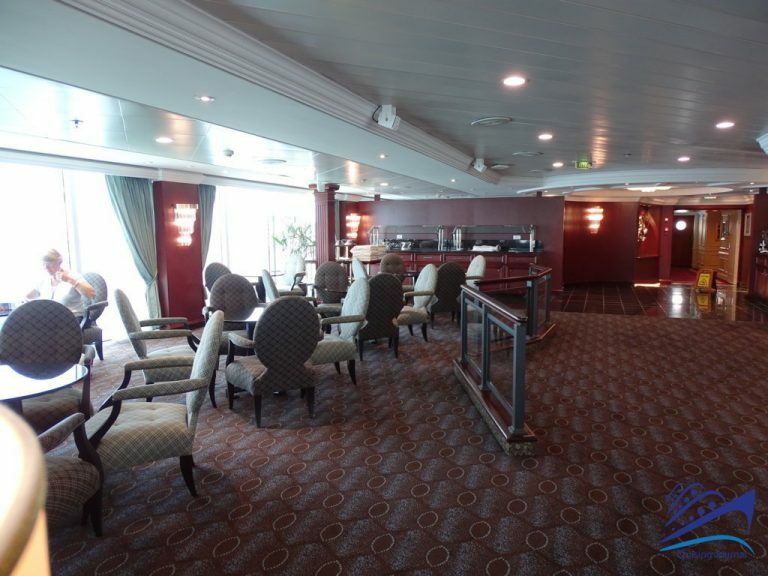 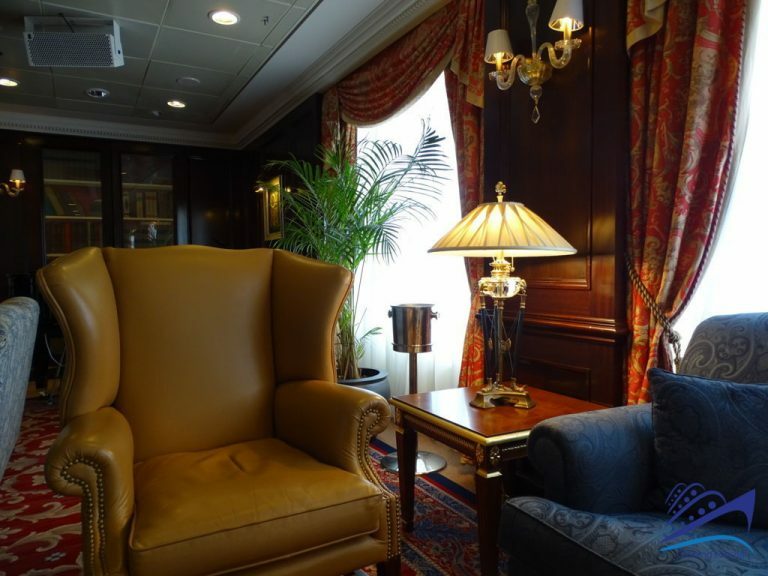 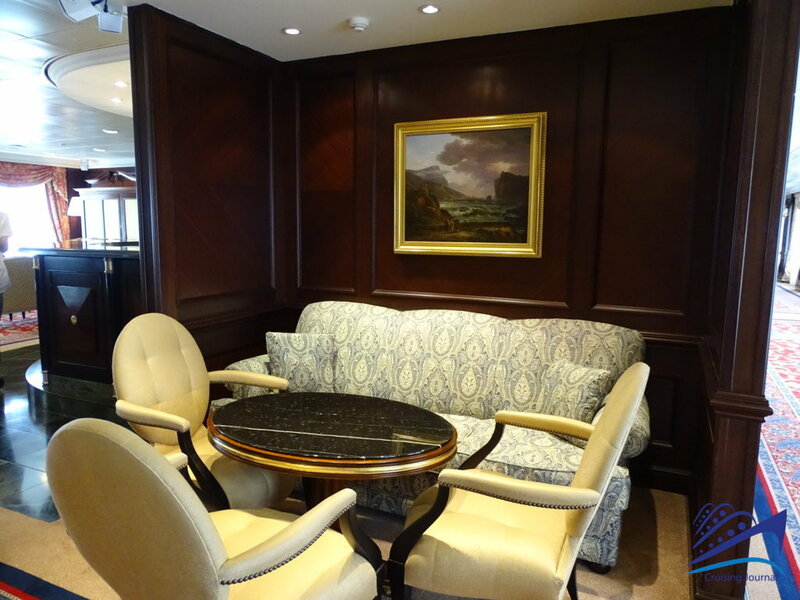 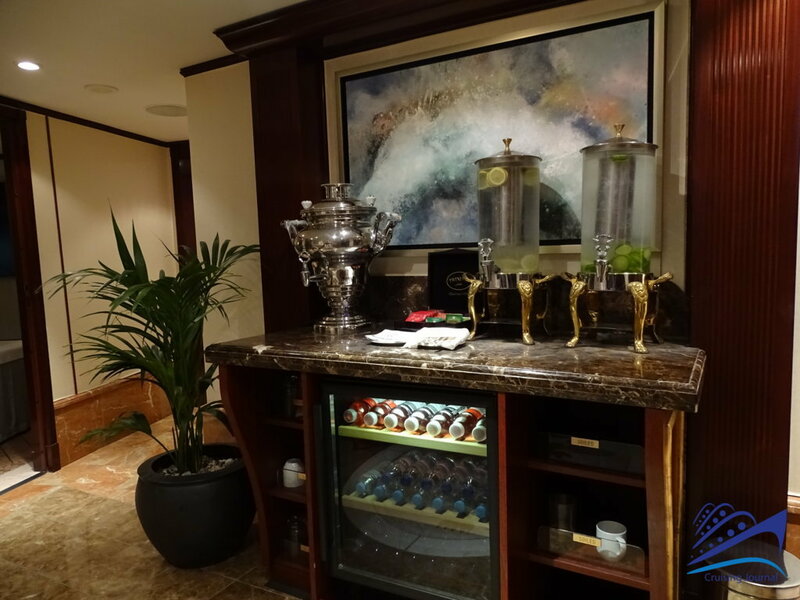 The Lounge, which is also a theater and a movie theater, a conference hall and a meeting point for interesting excursions sold by Oceania Cruises, occupies the end of the bow. If, on the other hand, from the Upper Hall you walk towards the stern you will find, on the right-hand side, Grand Bar Baristas, where you can wait for your table to be assigned for dinner while enjoying your favorite cocktail or, as suggested by its name, the best espresso on board! 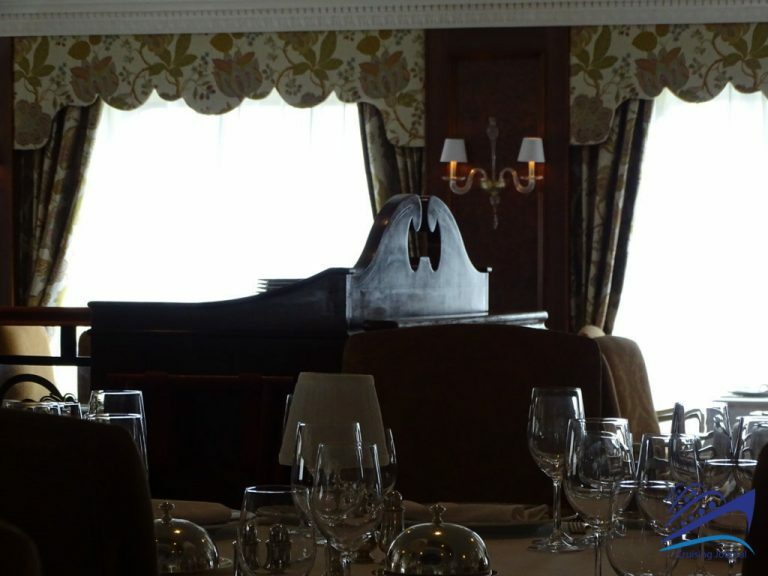 The Bar provides access to Grand Dining Room, the main restaurant, open throughout the day with free shifts. 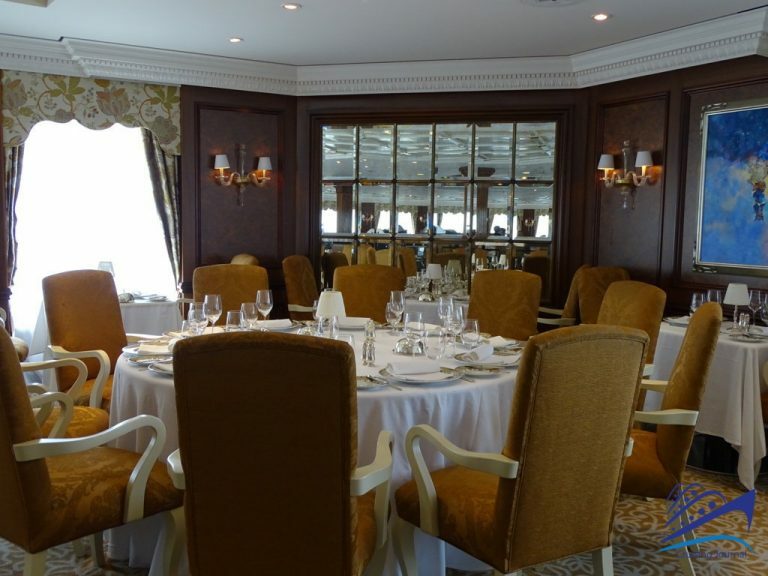 A very large and bright hall, with tables set with attention to detail. 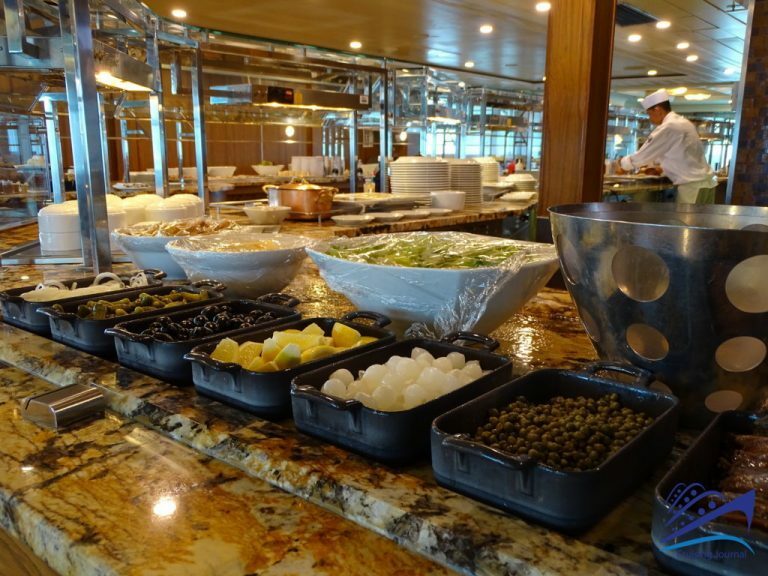 Oceania dishes are now popular dishes, but the images do not do justice to the flavors and aromas that the chefs are able to offer their guests. 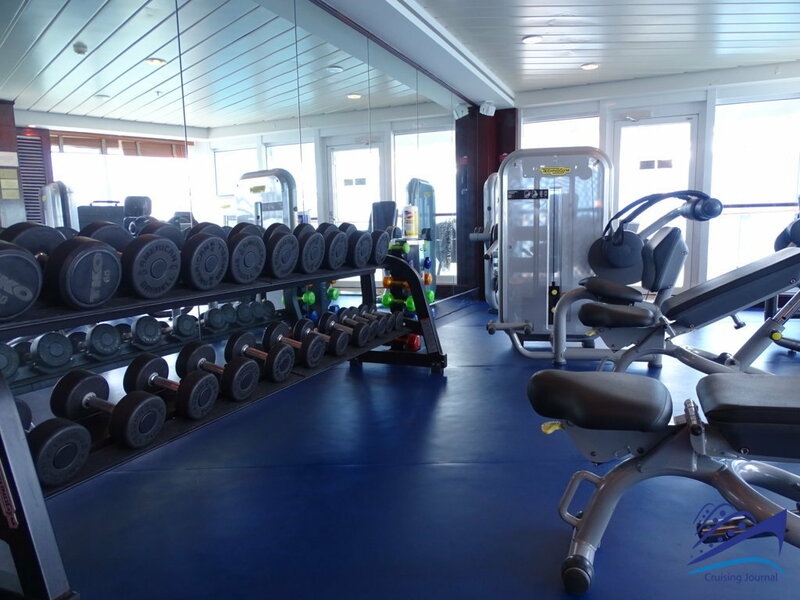 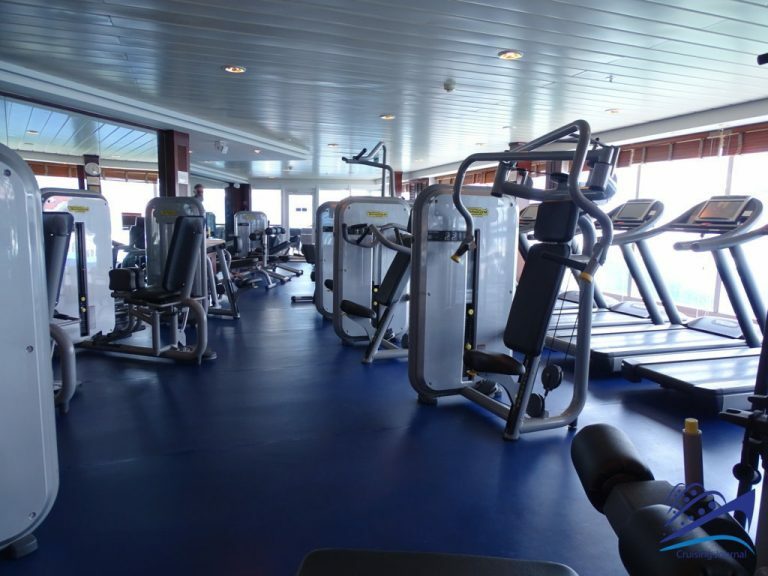 Going up to deck 9 and up to the ship’s bow, you will find Canyon Ranch Spa Club, which offers a series of fitness and wellness programs and is managed by the famous American brand of the same name. 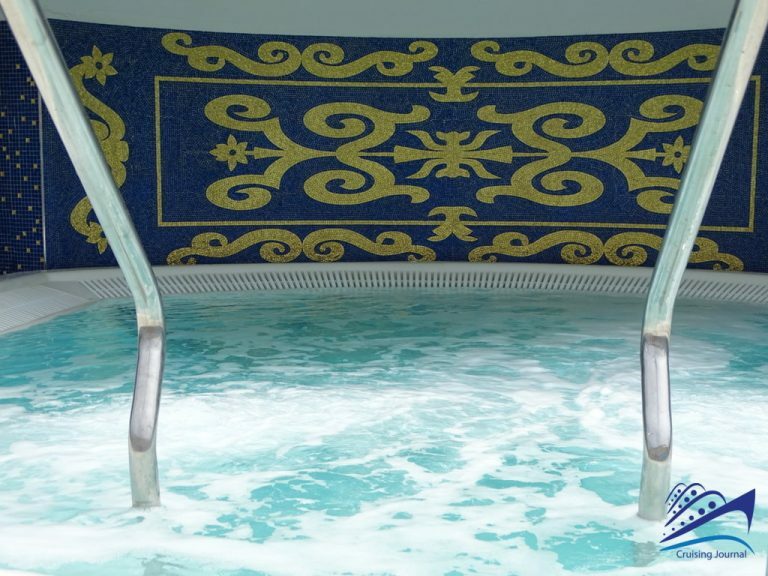 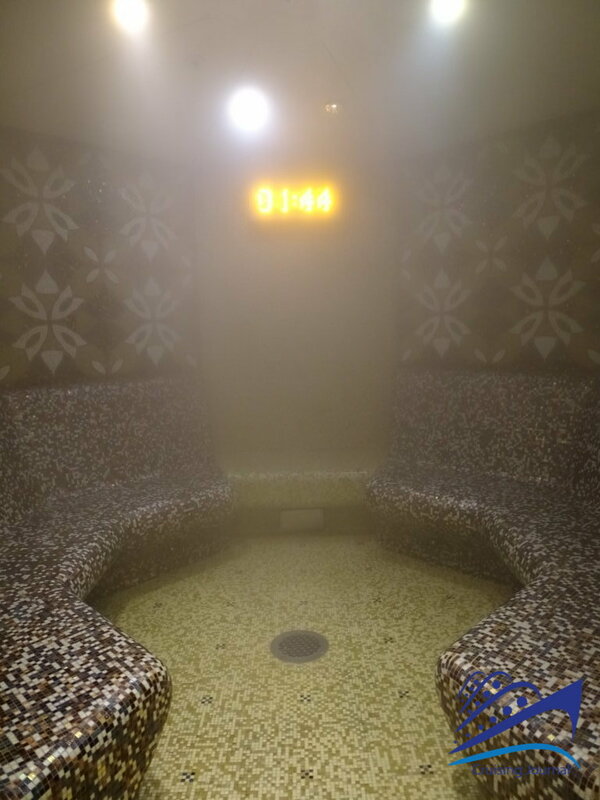 In addition to the gym, on the right-hand side, there is also a beautiful bow terrace, which houses sun loungers and a large central Jacuzzi, and Styling Salon, on the left, with massage areas and two central saunas. 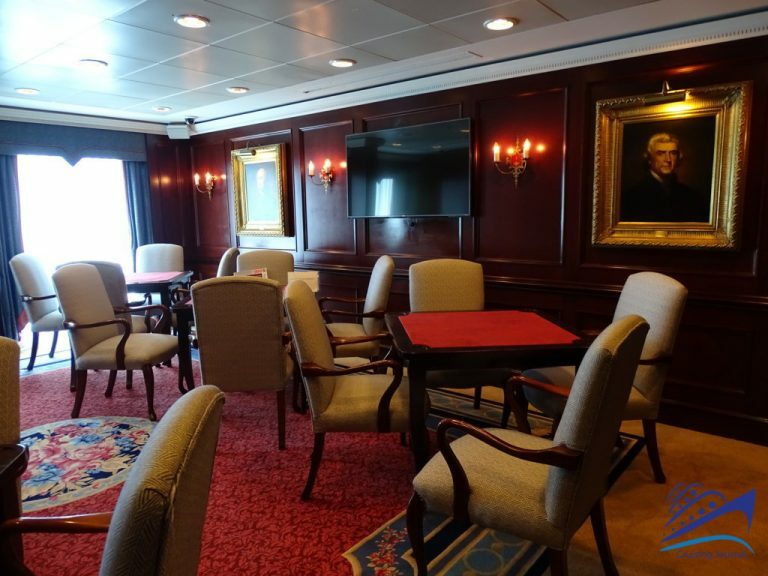 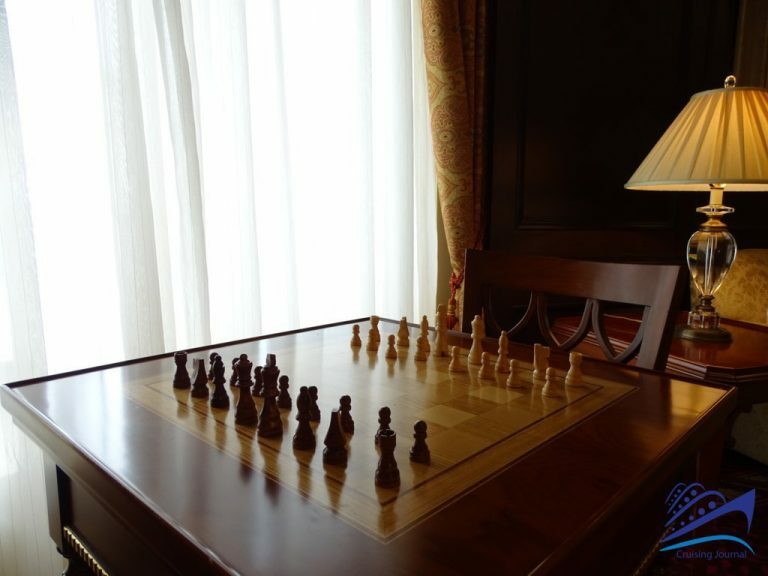 In the same area, on the left hand of the ship, there are two small rooms, including the Internet Center, Oceania@Sea, and the card and table games room, the Card Room. In the central area, there is the Lido, served by Waves Bar, that is quite large with respect to the number of passengers. 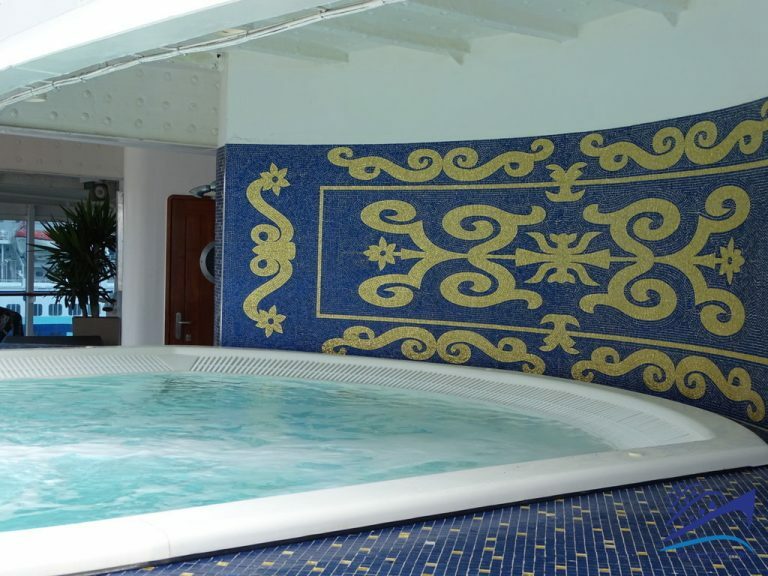 Two raised Jacuzzis and a series of comfortable sun loungers are located on the pool sides. 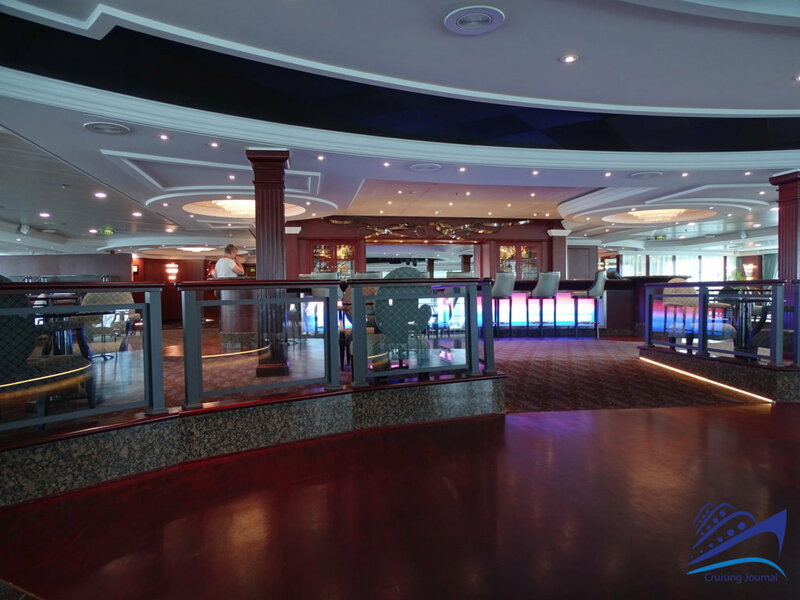 Walking towards the stern, on one side is the relaxation area called The Patio, while on the other Waves Grill, which serves grilled specialties and sandwiches, open until late. 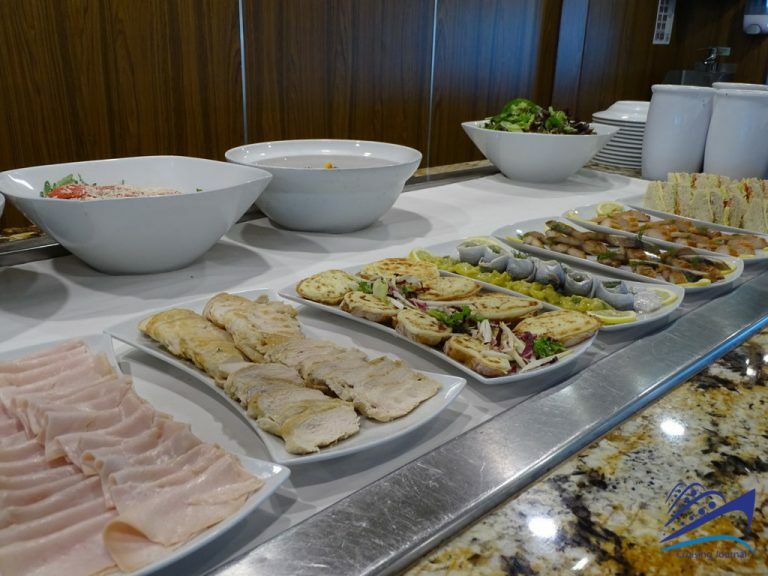 A rich buffet is served by Terrace Cafè, with many specialties and an excellent service, just like that of other restaurants. 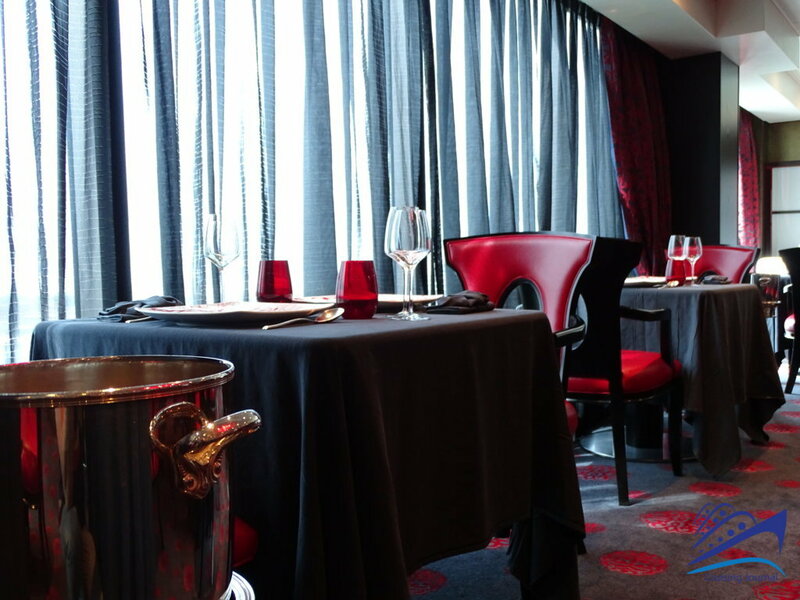 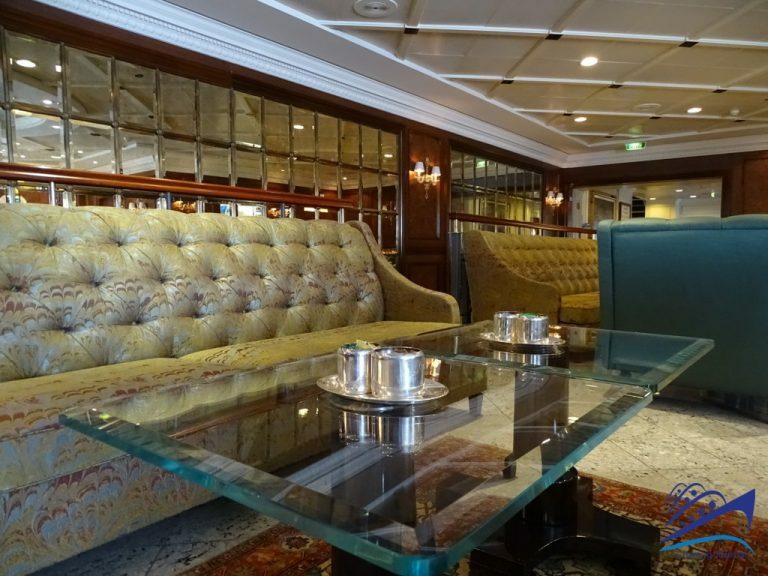 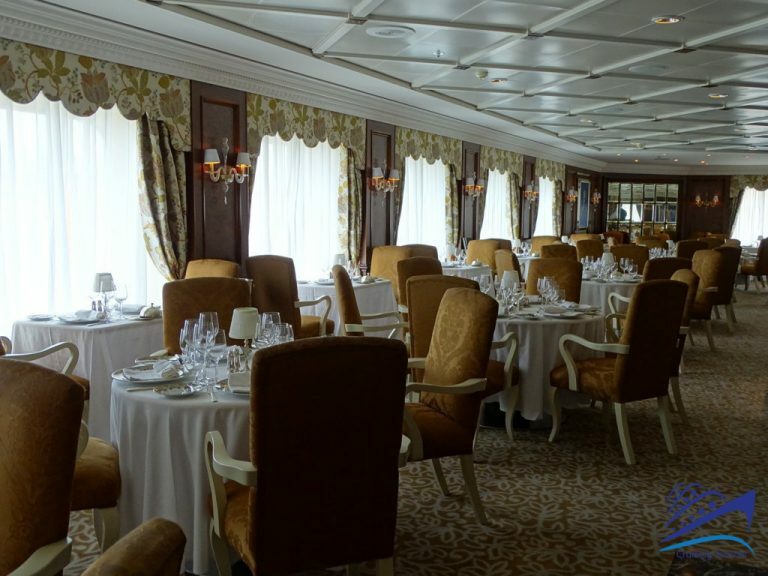 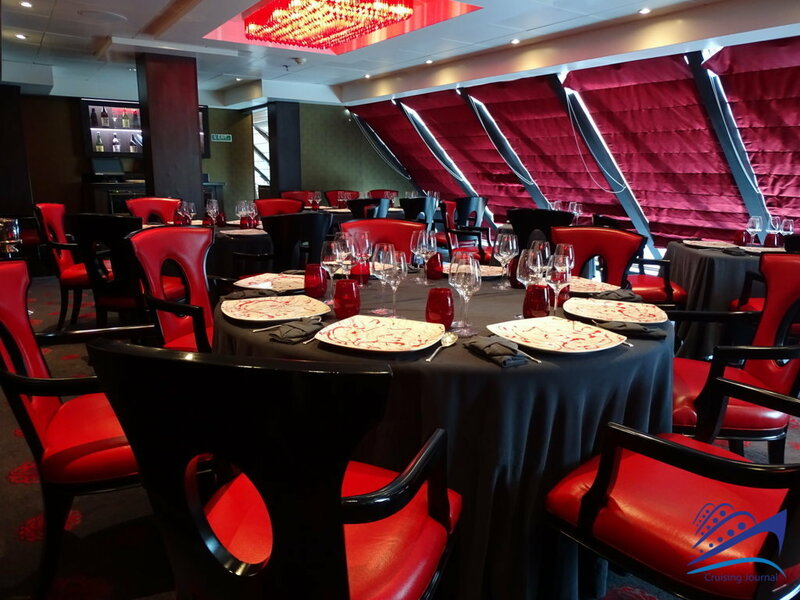 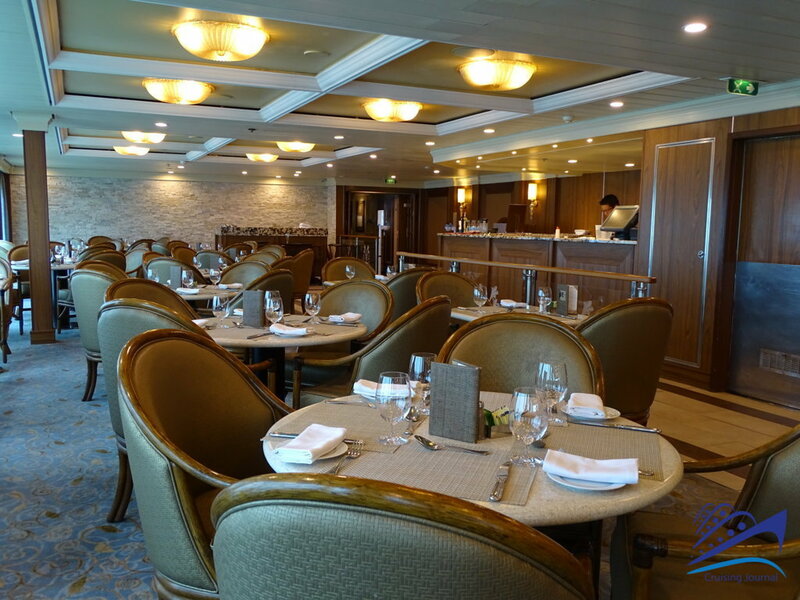 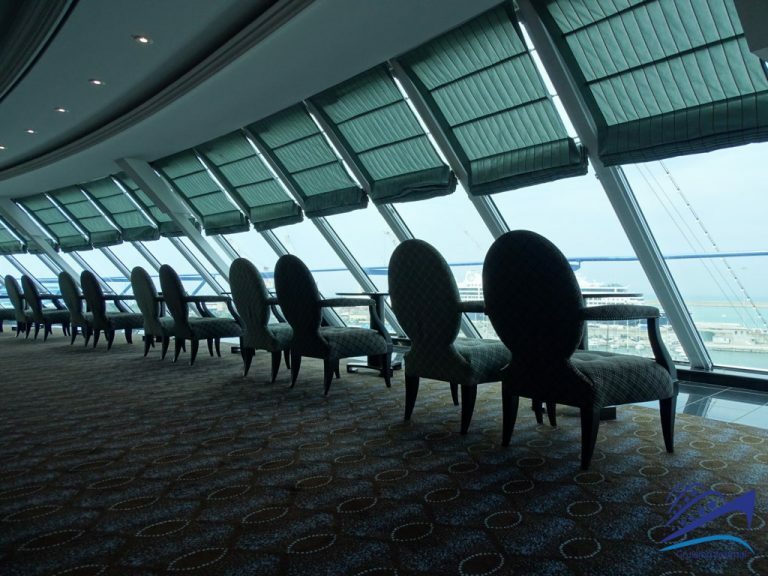 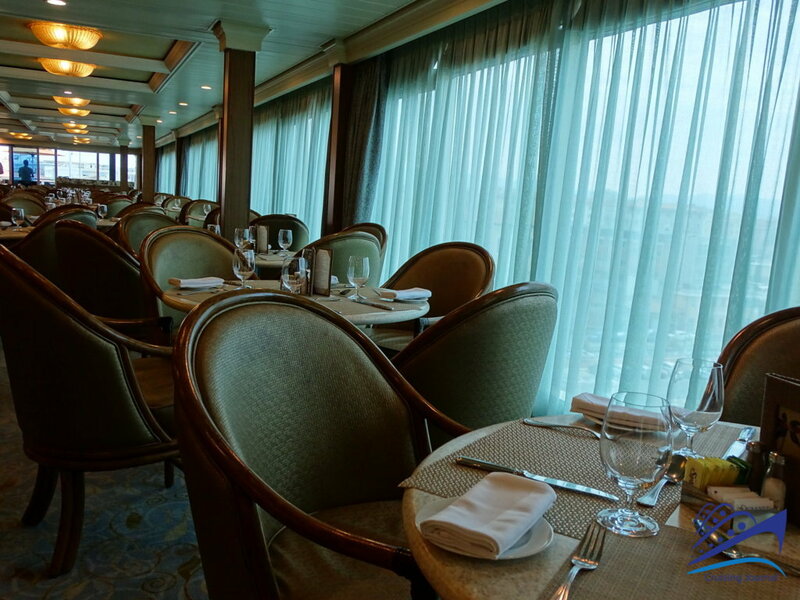 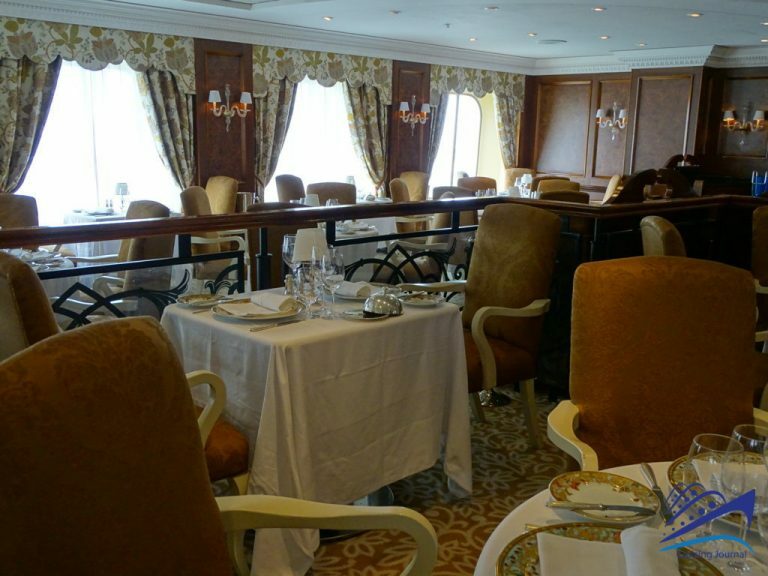 In the inside there is also a pleasant terrace, where you can relax among the tables overlooking the wake of the ship. 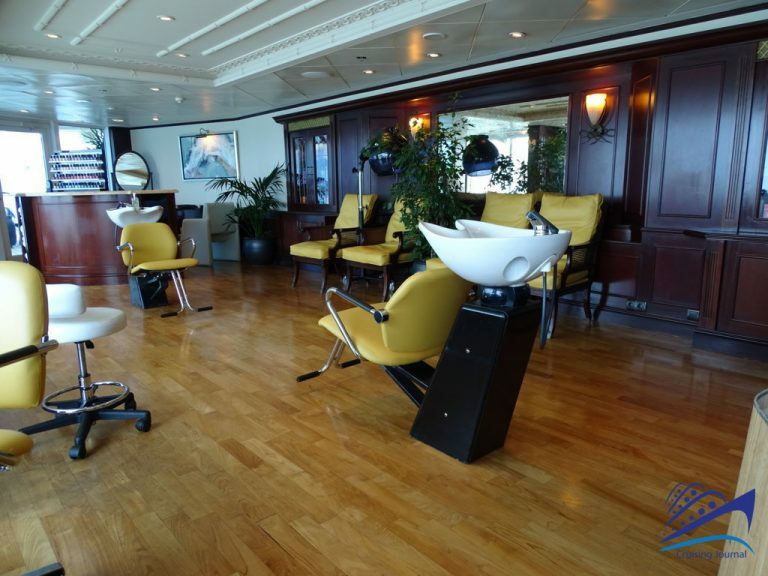 The facilities at deck 10 are also interesting. 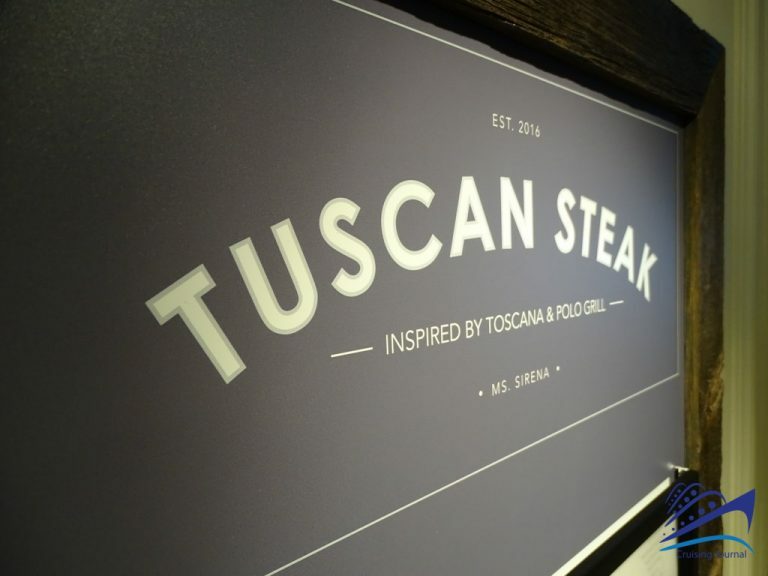 Above Terrace Cafè you will find two specialty restaurants, Tuscan Steak and Red Ginger. 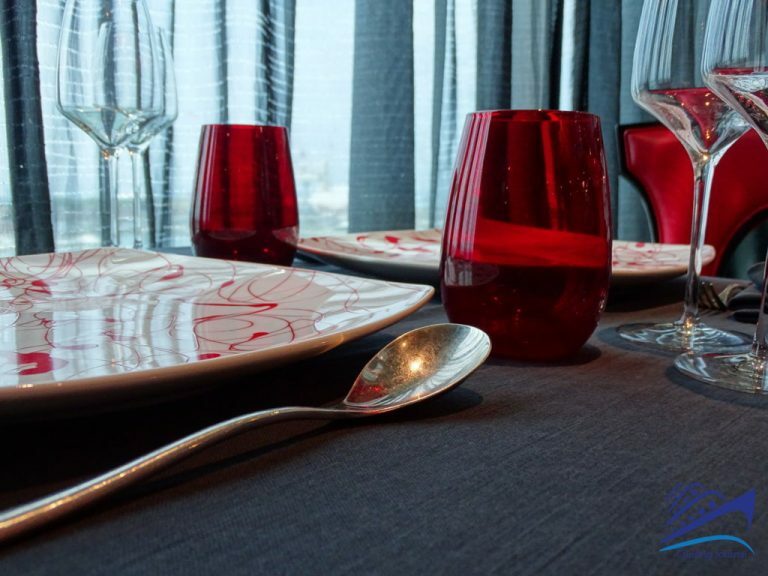 The first one offers Italian cuisine and the finest cuts of meat, while the second one is famous for its oriental specialties. 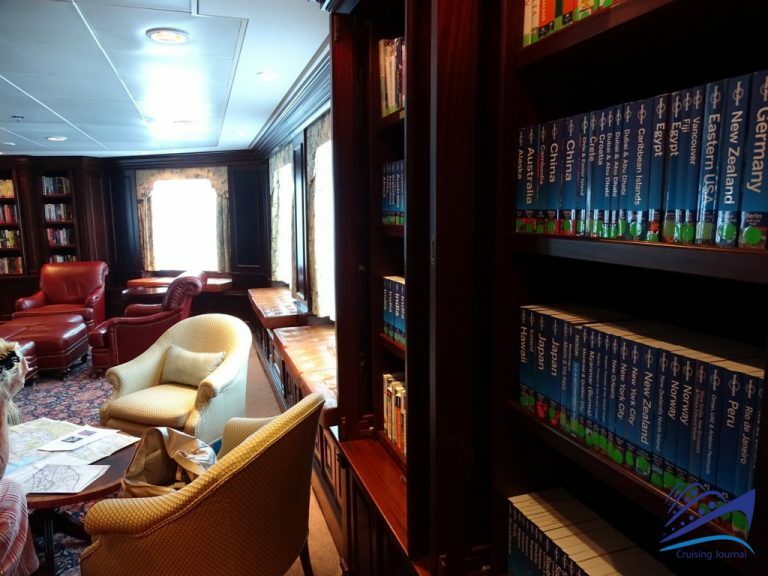 In the central area of the ship, the large library, The Library, is one of the coolest places on the ship. 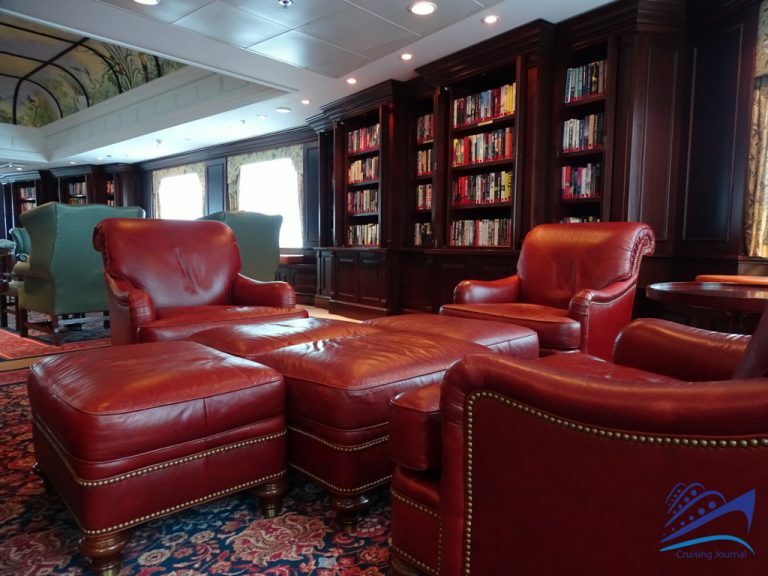 Silence, velvets and books, as well as the sound of the piano on some occasions, and the spectacular paneled ceiling, create the ideal setting for those who love reading and tranquility. 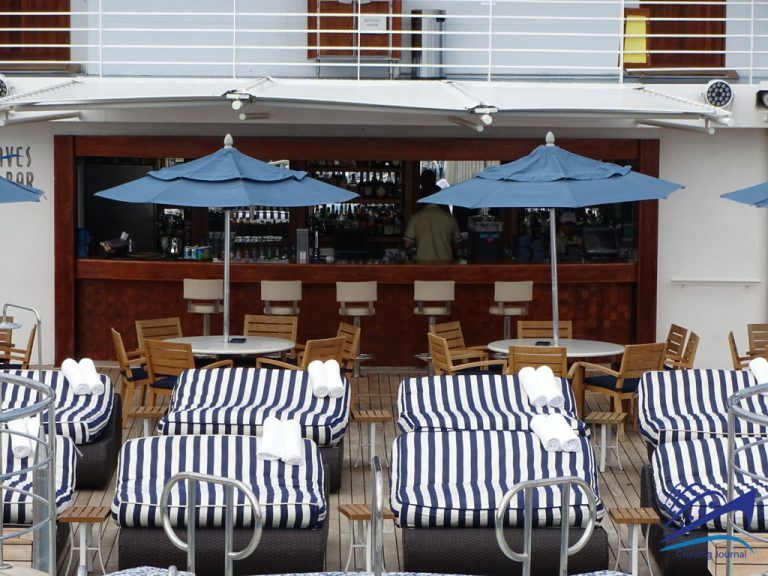 The bow of deck 10, finally, houses Horizons, a beautiful lounge overlooking the sea where you can relax during the day, enjoy the sea and dance at night. 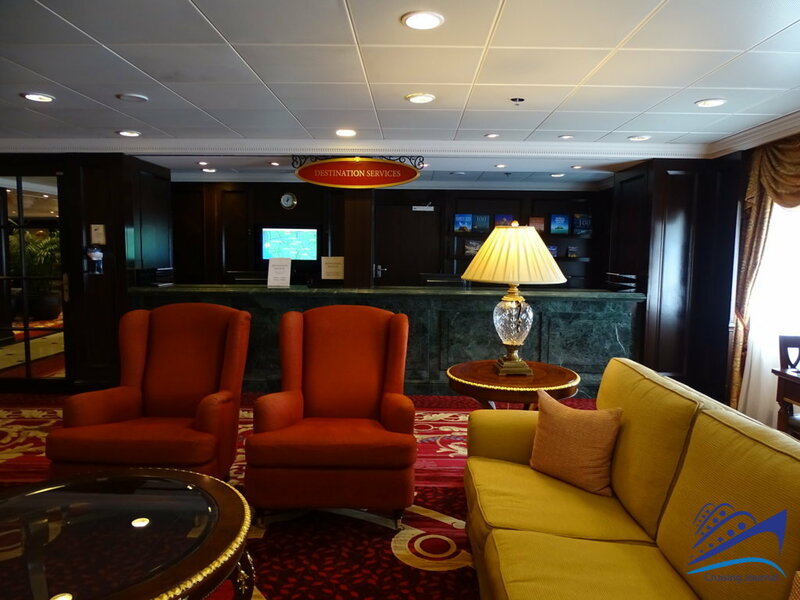 At Horizons you will always be at your ease. 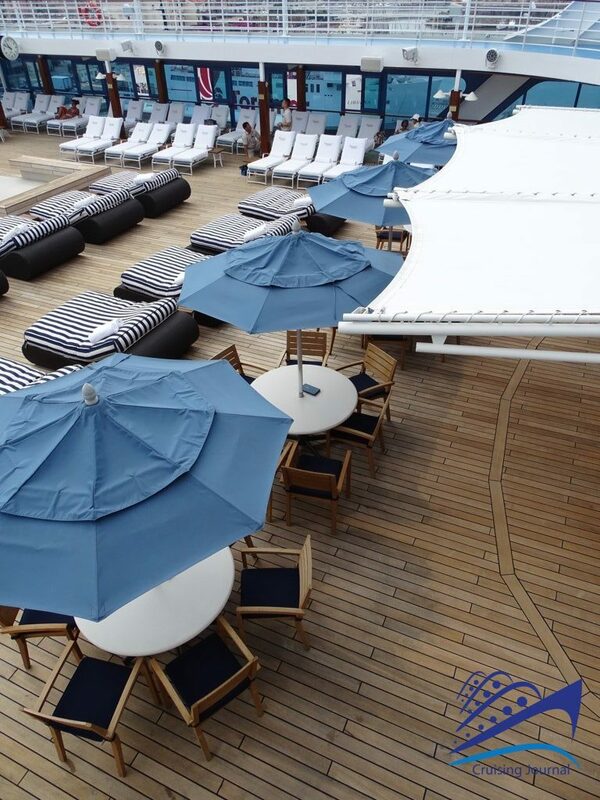 Minigolf and shuffleboard are located on deck 11, which offer opportunities for recreation and are also ideal for pleasant walks on the deck. 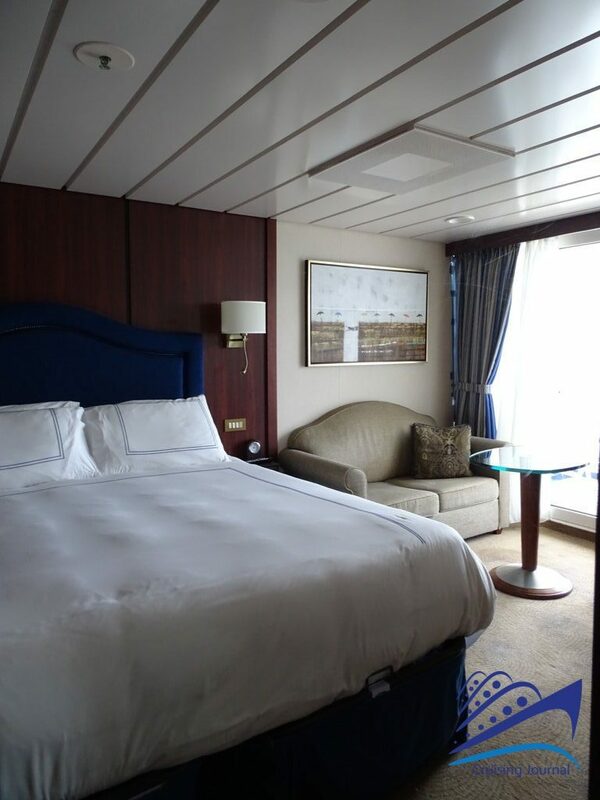 Sirena has different types of cabins. 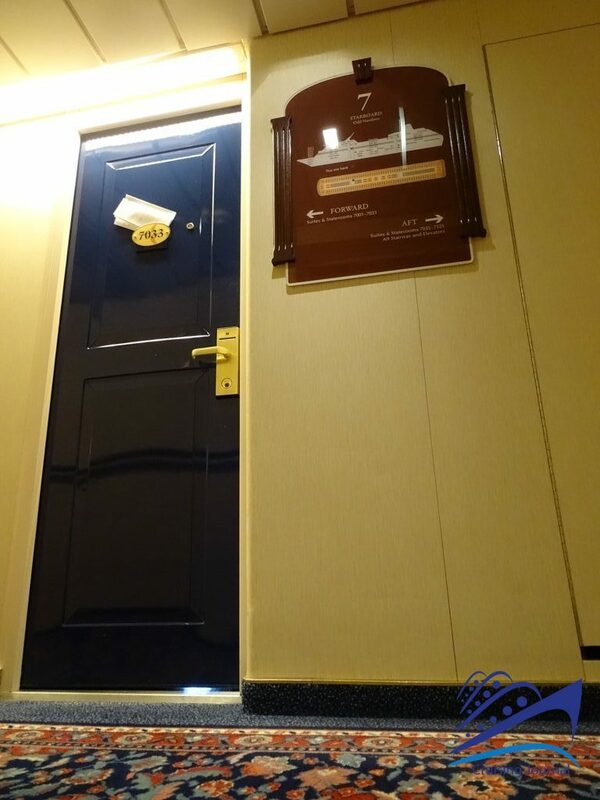 All accommodation units, however, offer the same quality and comfort, elegant and large beds, bathrooms covered with marble and toiletries. 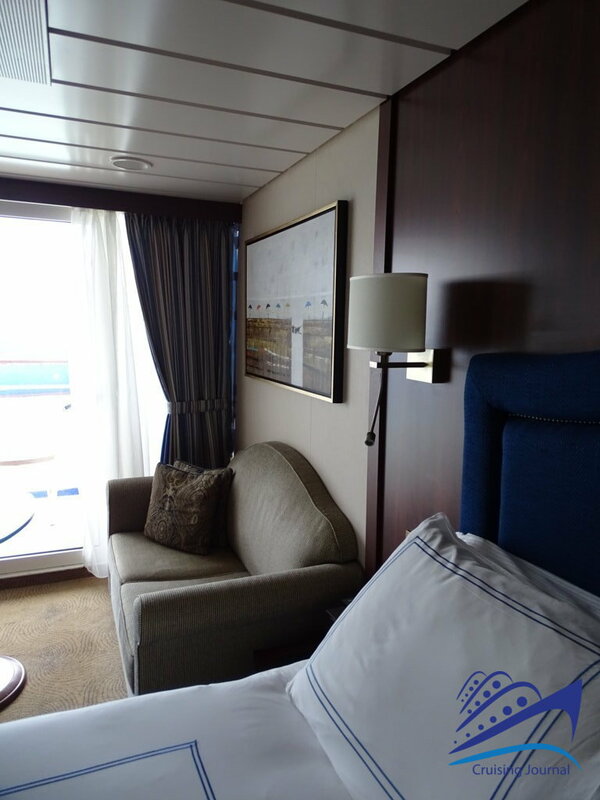 There are some indoor cabins: Oceanview cabins, with a window, and Deluxe Oceanview and Verandah cabins, with a balcony. 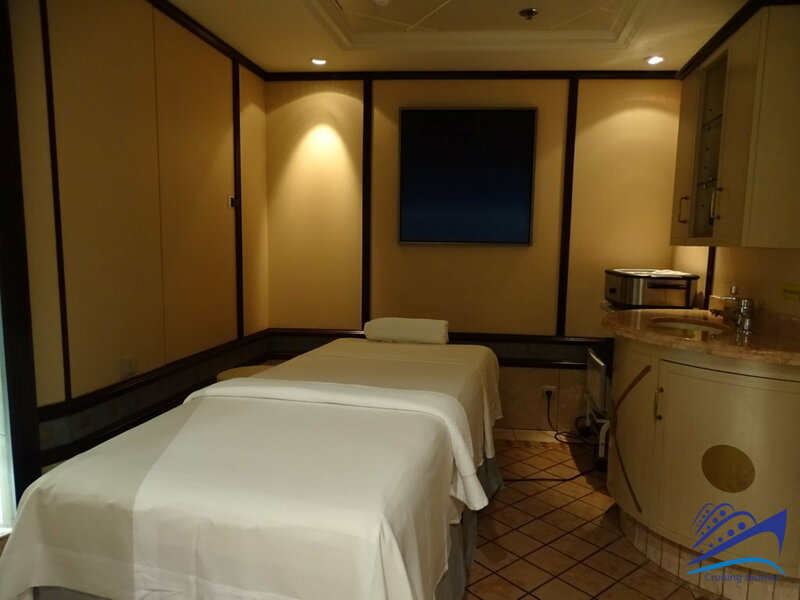 For those who want to live an even more exclusive experience, Vista Suite and Owner’s Suite cabins are real luxury apartments on the sea. 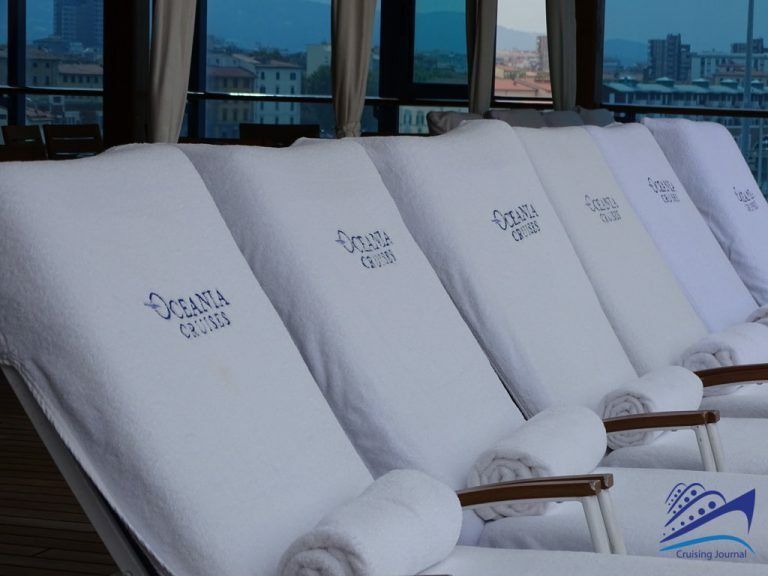 Oceania Cruises is a cruiseline able to combine elegance and luxury with a flexible and informal cruise style, suitable for all ages. 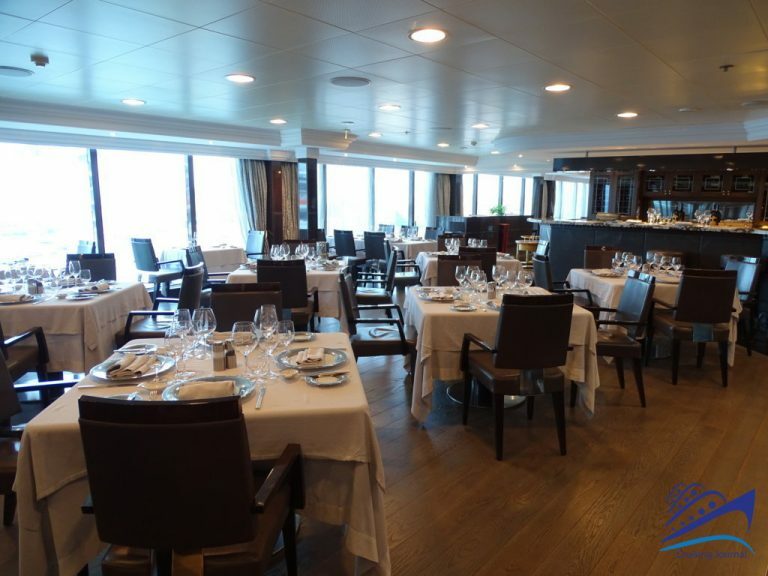 The cuisine is undoubtedly the flagship of this fleet, but there are many other aspects that make it an attractive choice. 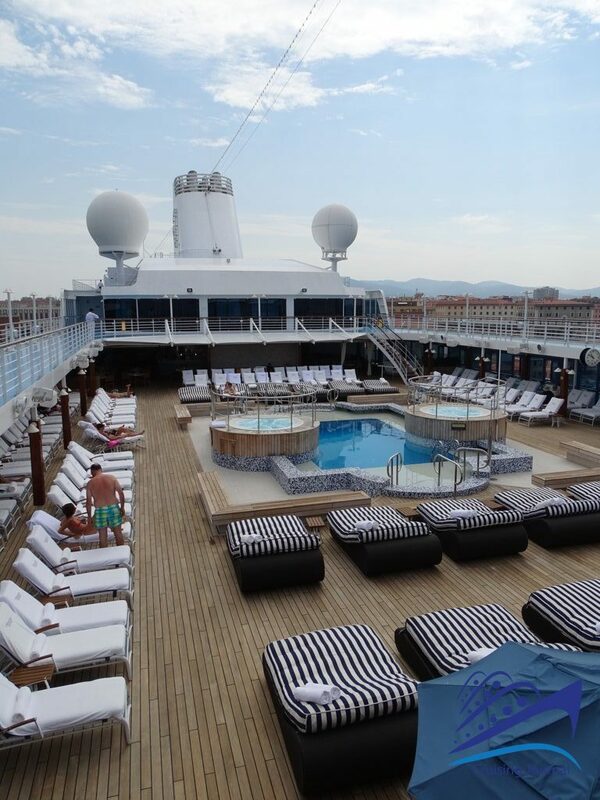 A passenger/crew ratio among the best in the world, small and medium-sized vessels that allow a service on a human scale, spectacular tours all over the world. 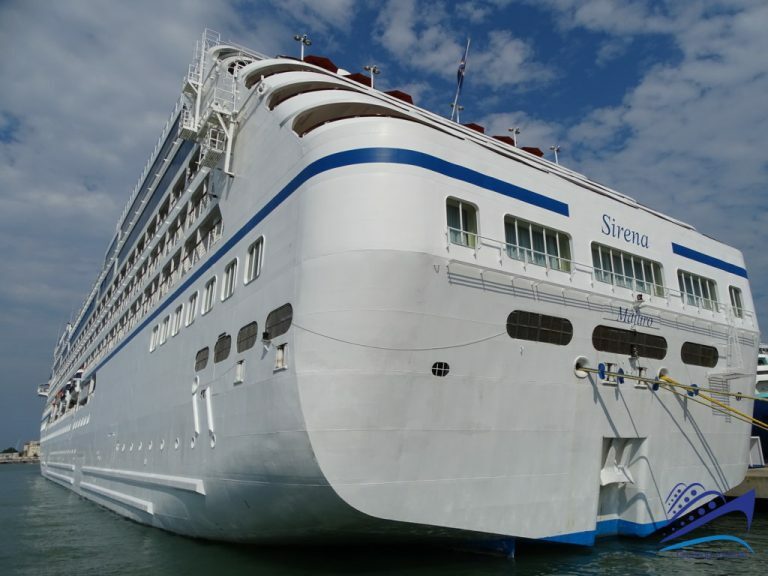 Sirena, the R-Class ship recently added to the fleet, is perfectly able to offer modern cruises and quality services, while allowing you to enjoy the sea and the cruise experience far from the hectic pace of everyday life.